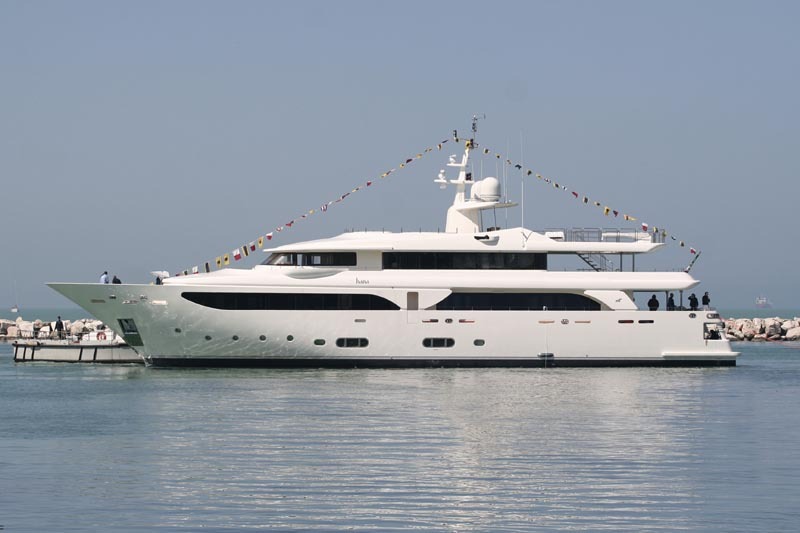 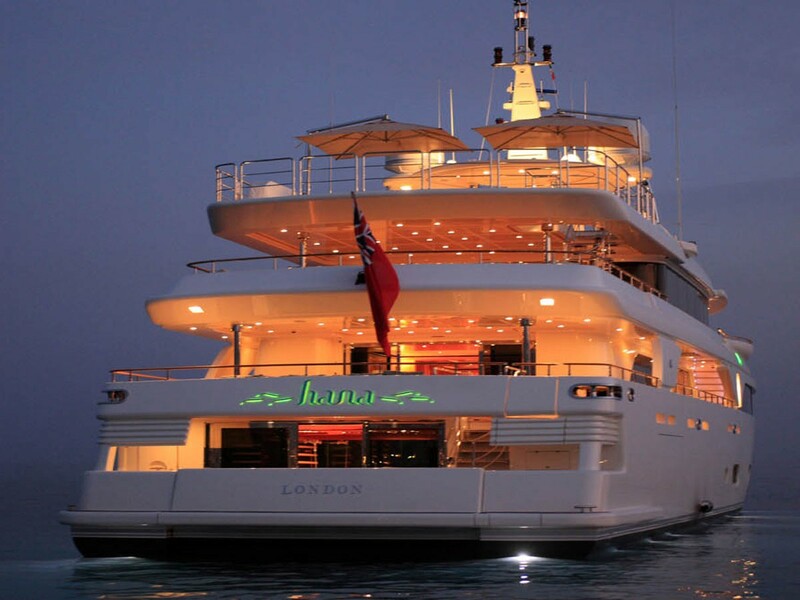 HANA is a 43 meter (141 ft) vessel built by the Italian shipyard CRN in Ancona, Italy. 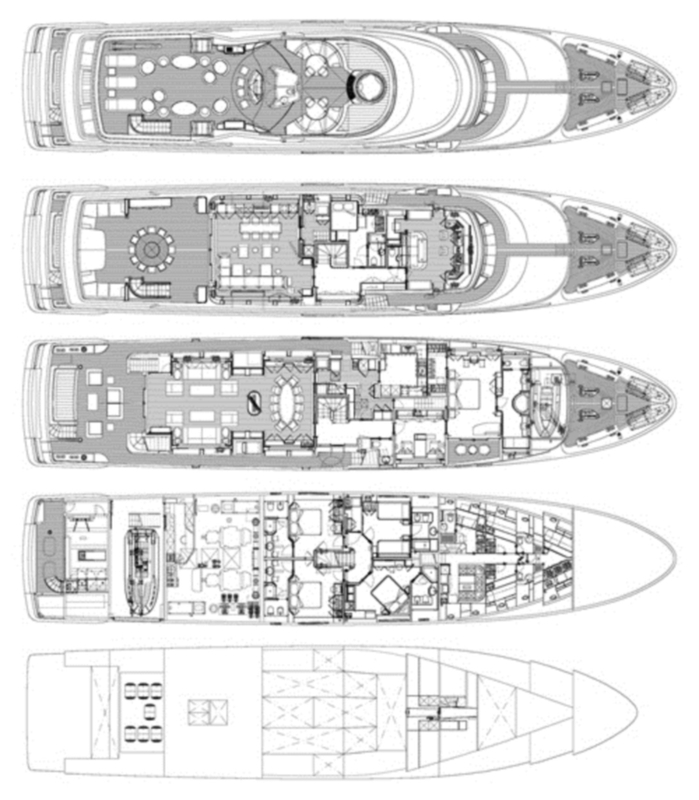 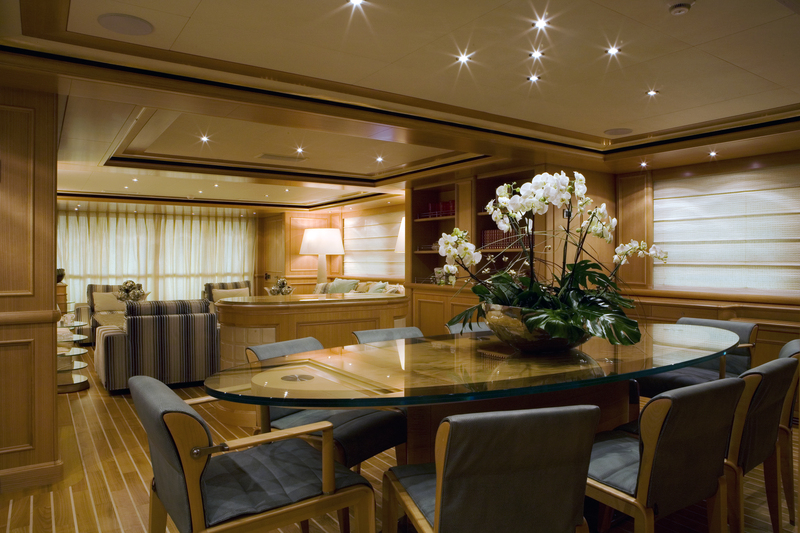 The yacht’s naval architecture features the works of the renowned Studio Zuccon International Project in collaboration with CRN, while the interior design was created by Claude Missir. 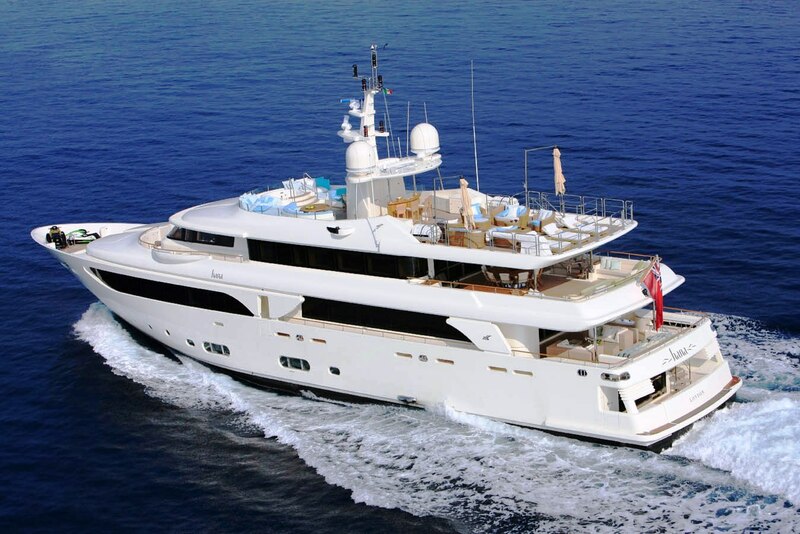 This excellent and popular luxury charter yacht has a displacement composite hull and is run by a highly professional crew of nine. 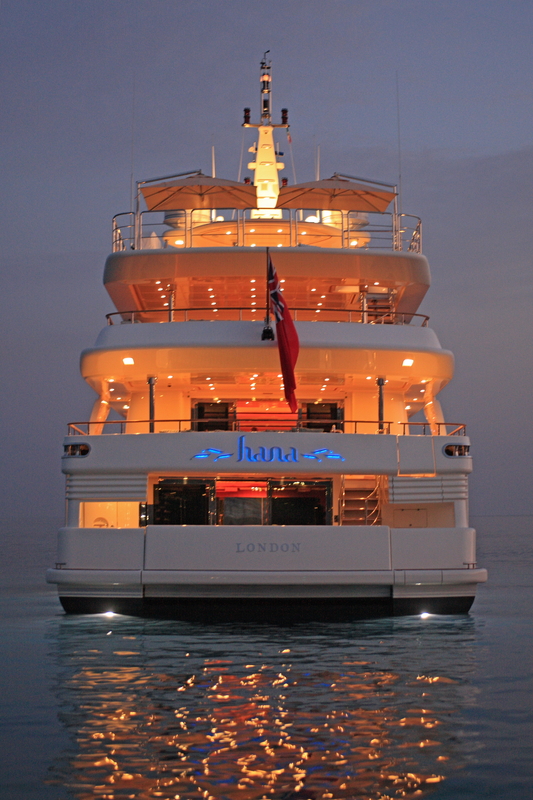 HANA was delivered in 2008. 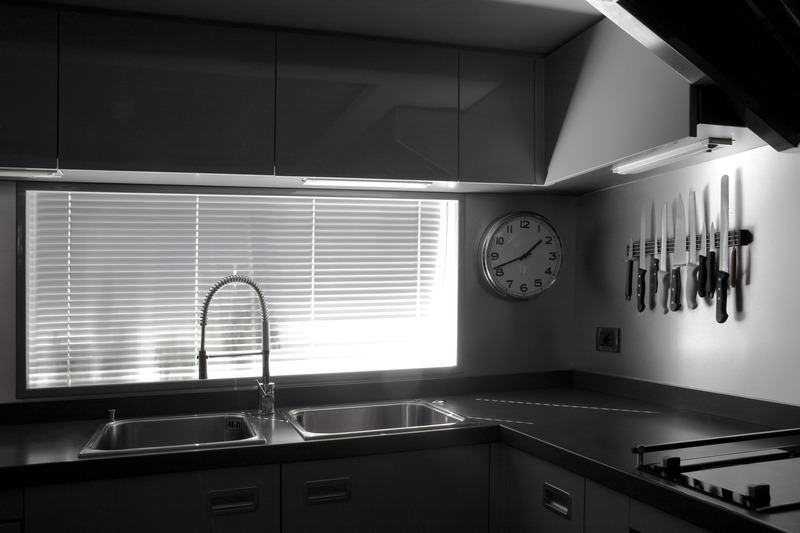 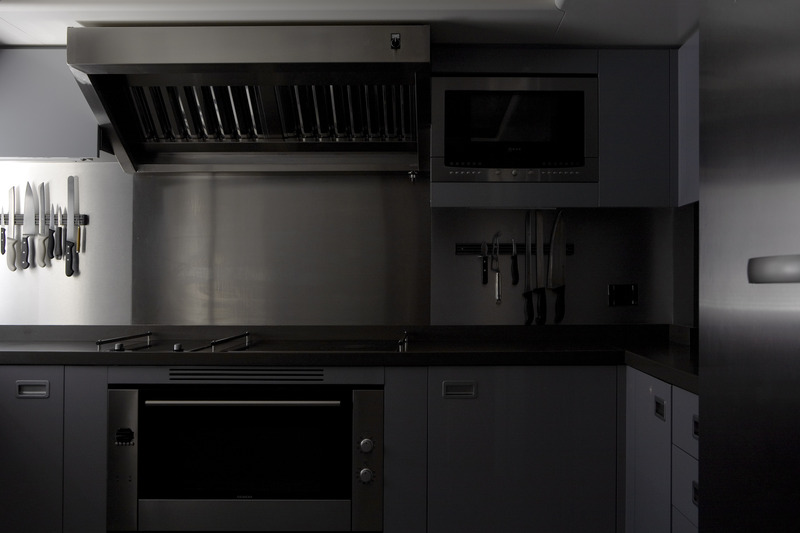 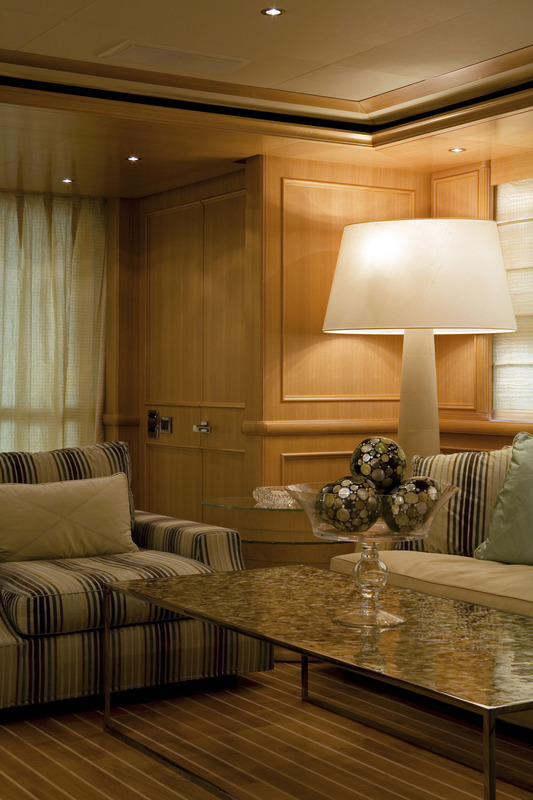 Claude Missir collaborated with the Owner, creating beautiful, contemporary vessel with neutral tones and lovely lighting throughout. 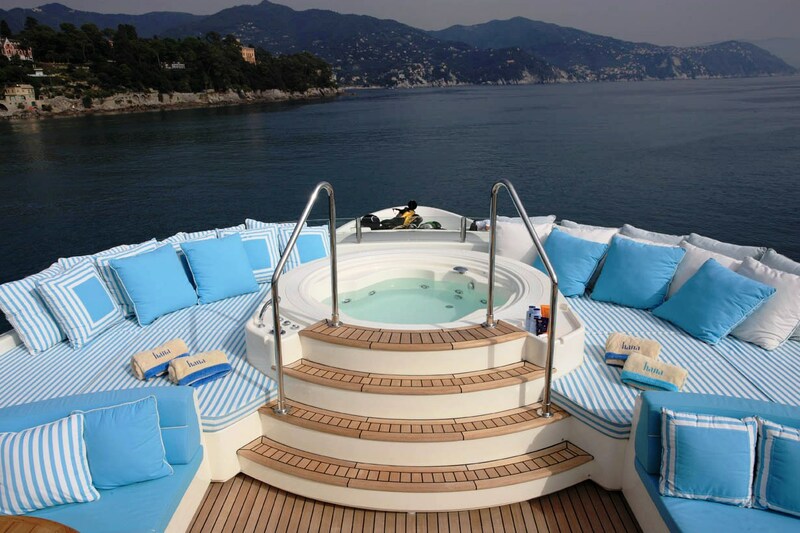 Perhaps the most important and loved area aboard is the spacious bridge deck, which has been fitted with the ever so popular Jacuzzi hot tub, has plenty of sun loungers and luxurious seating, and has a barbecue to the port side. 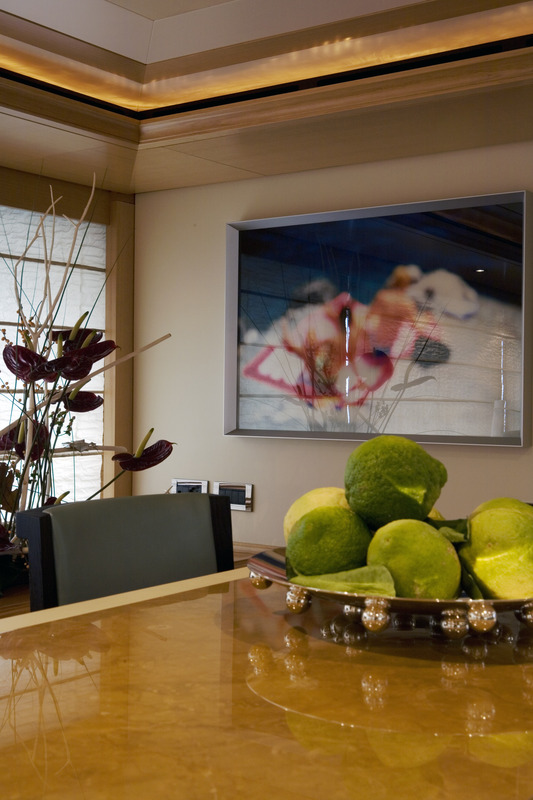 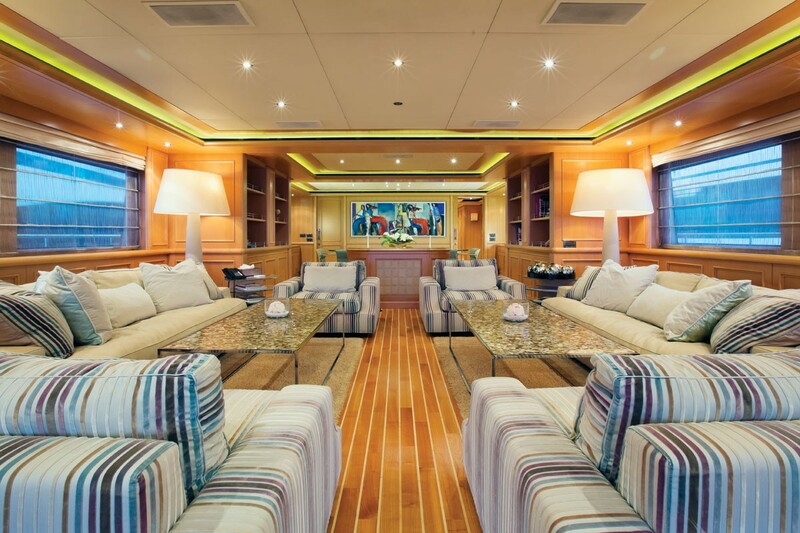 M/Y HANA has a generous size to her four decks and extensive open-air zones such as the well-covered areas of the main deck and the upper deck carved out of the majestic white hull. 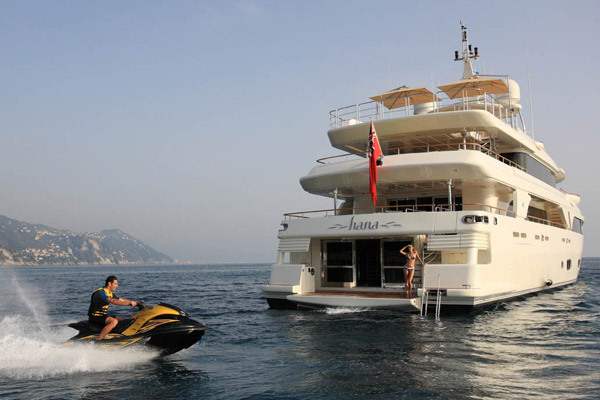 HANA, fitted with two Caterpillar (1,420 hp) yacht tenders has a maximum speed of 15.5 knots and a cruising speed of 14 knots. 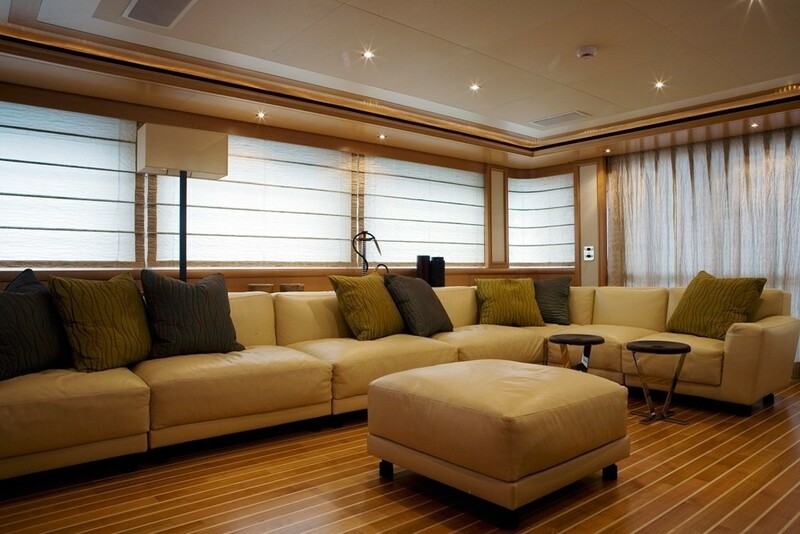 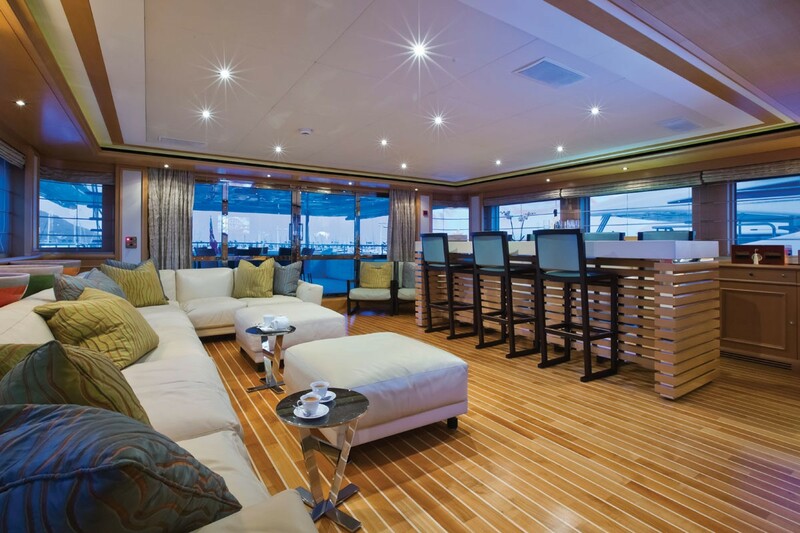 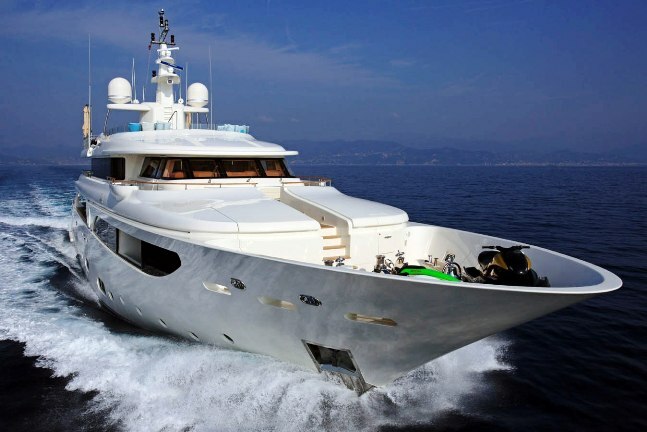 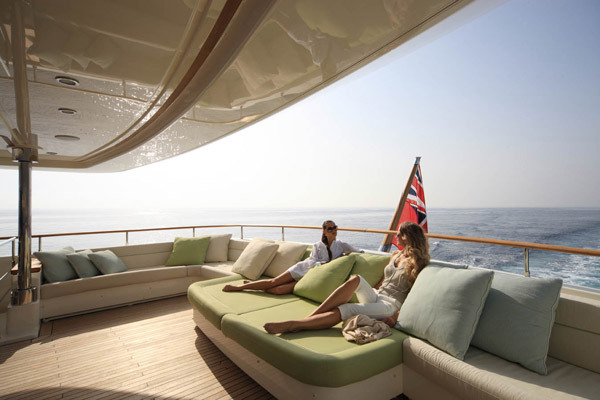 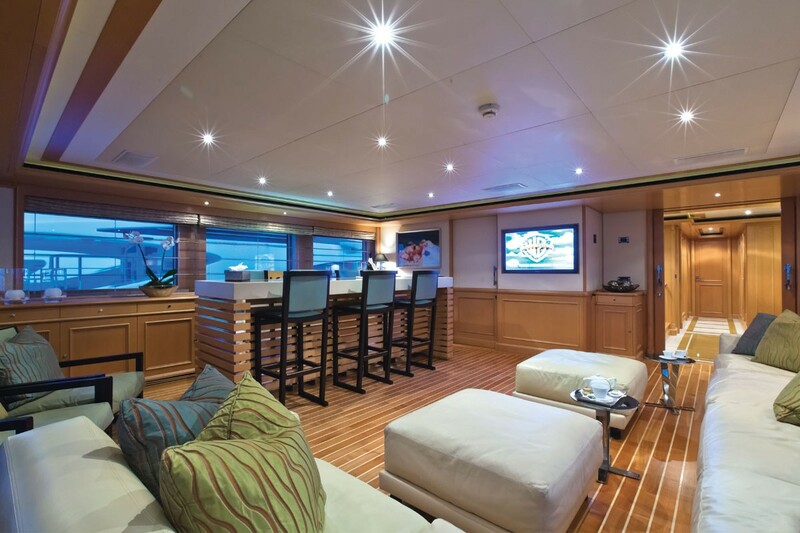 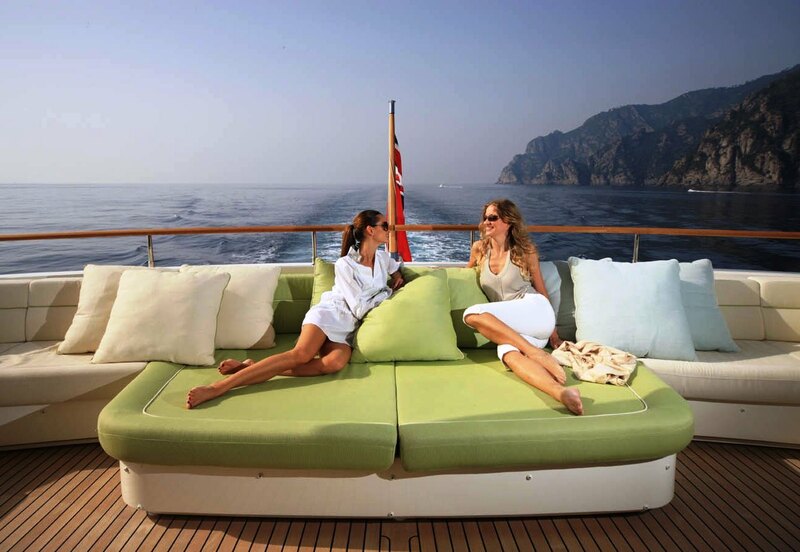 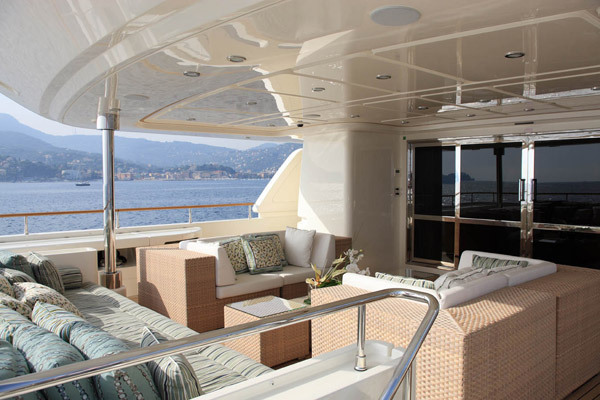 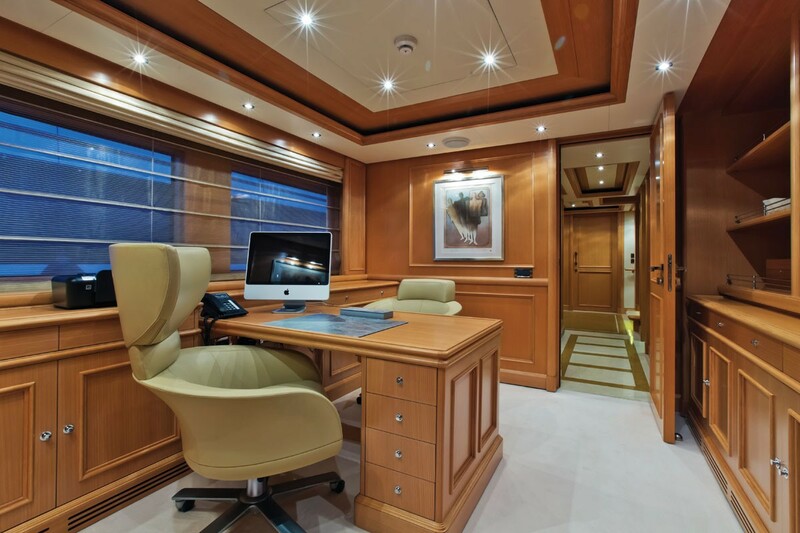 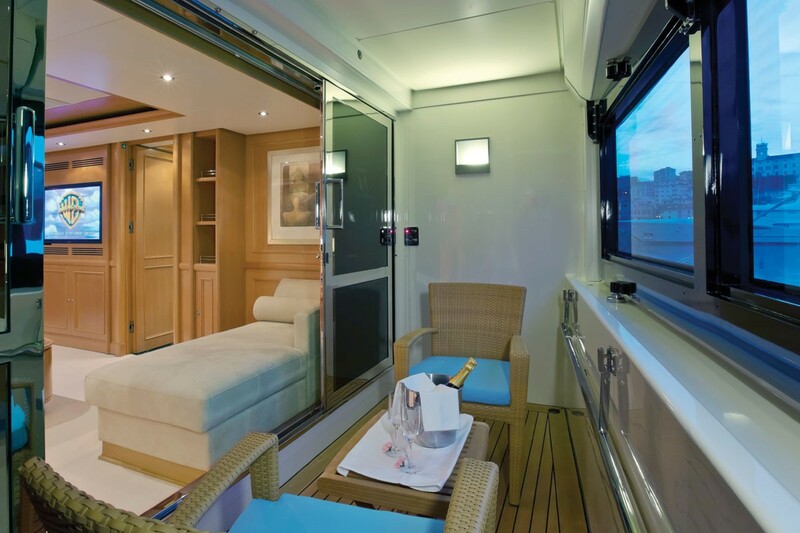 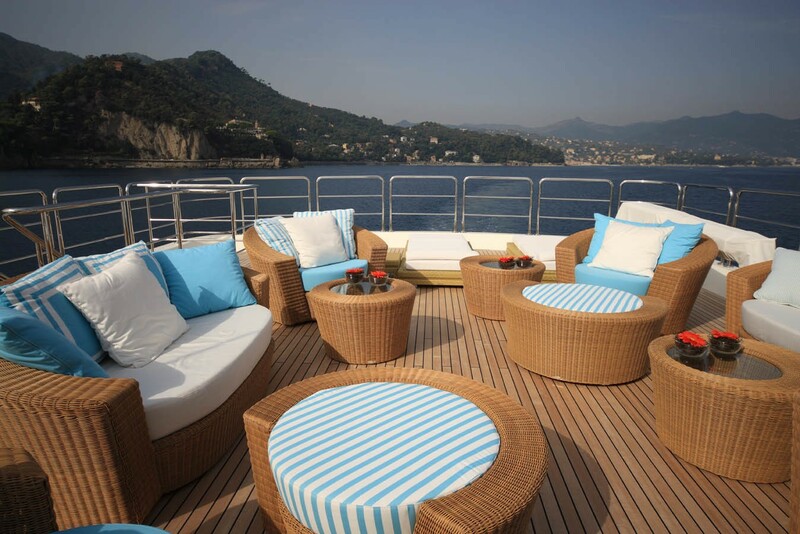 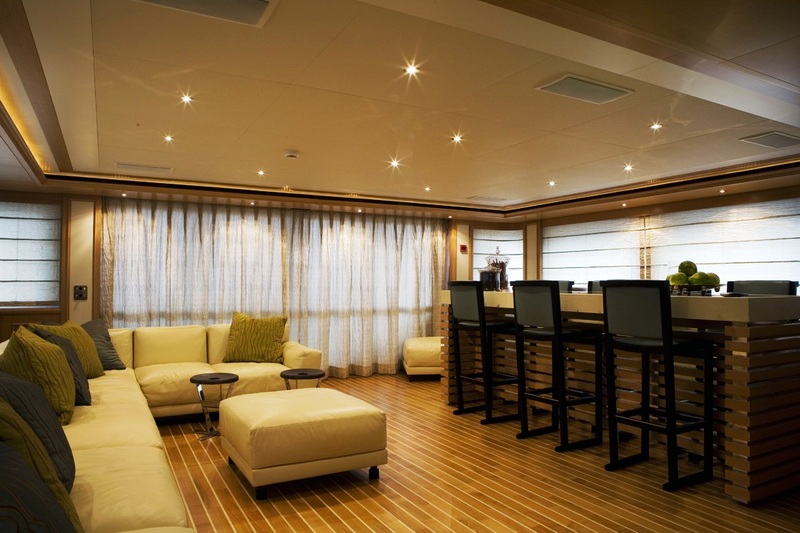 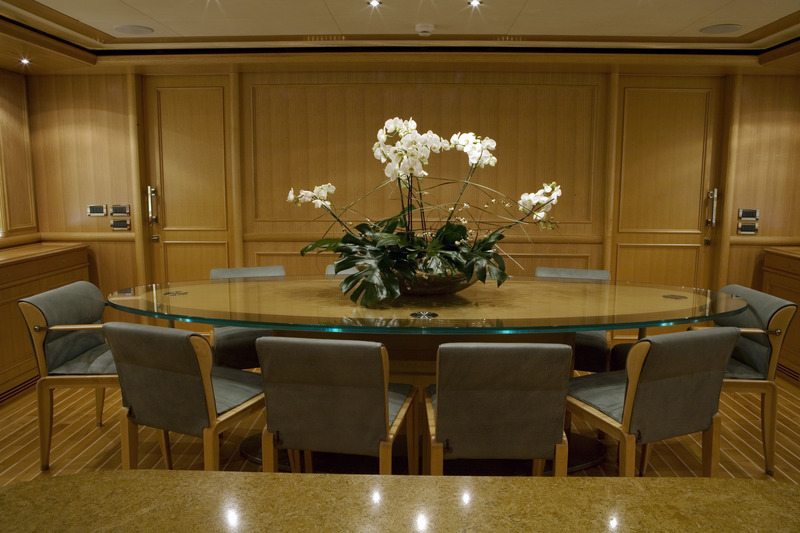 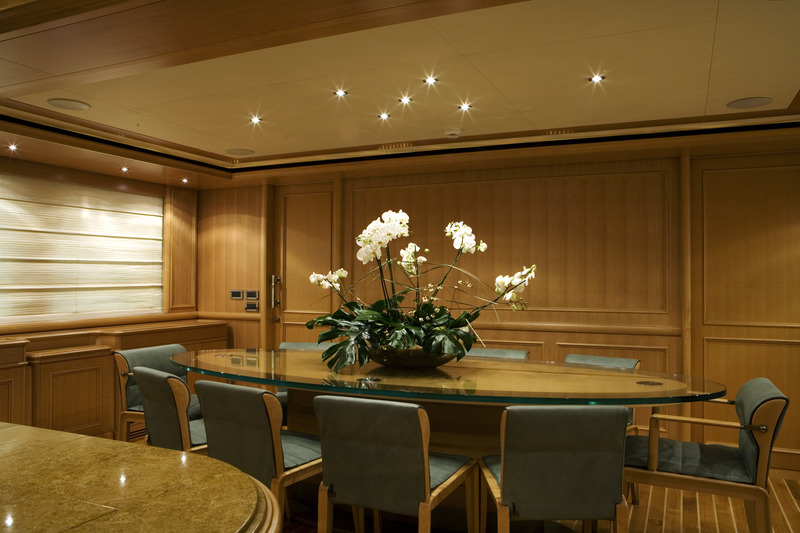 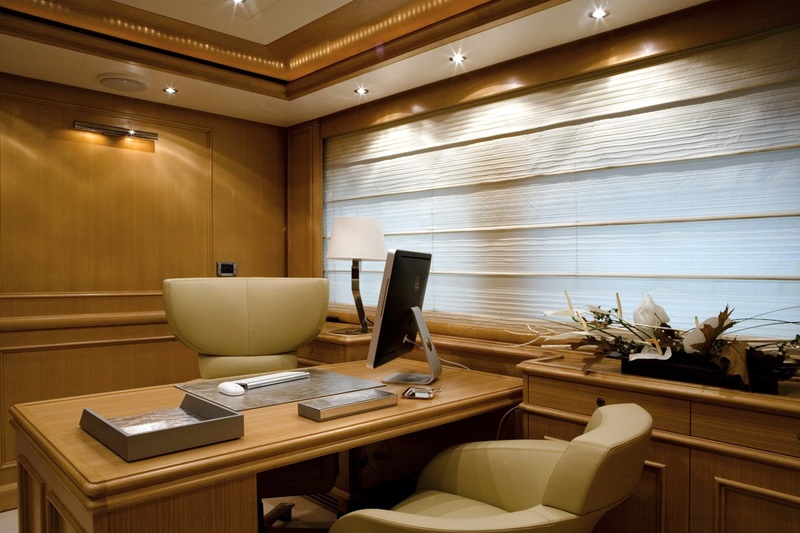 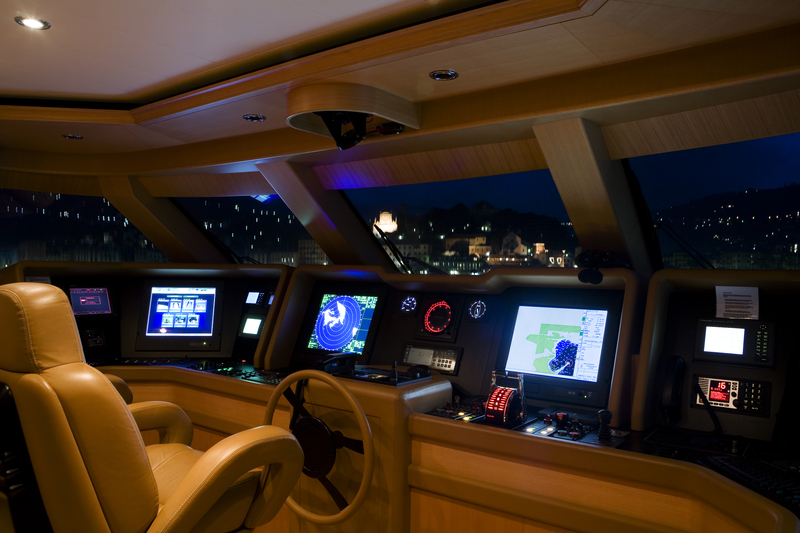 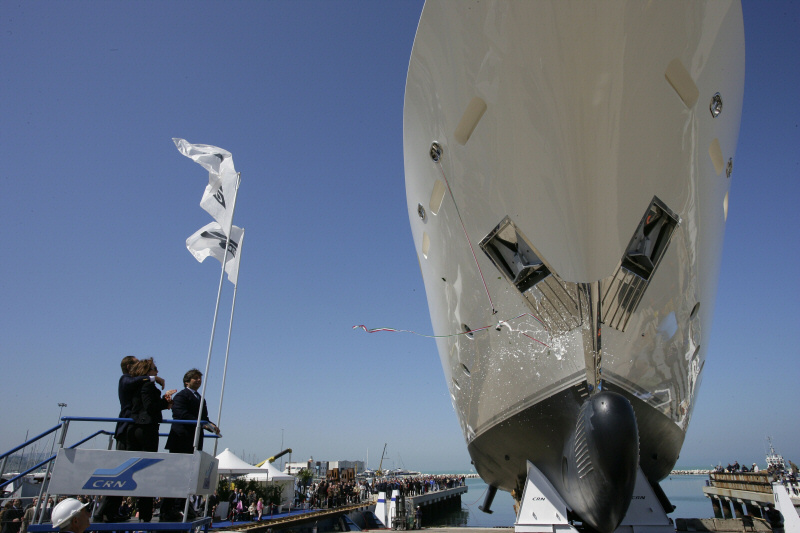 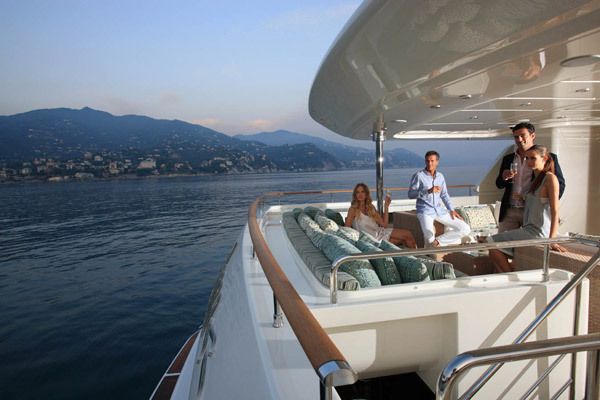 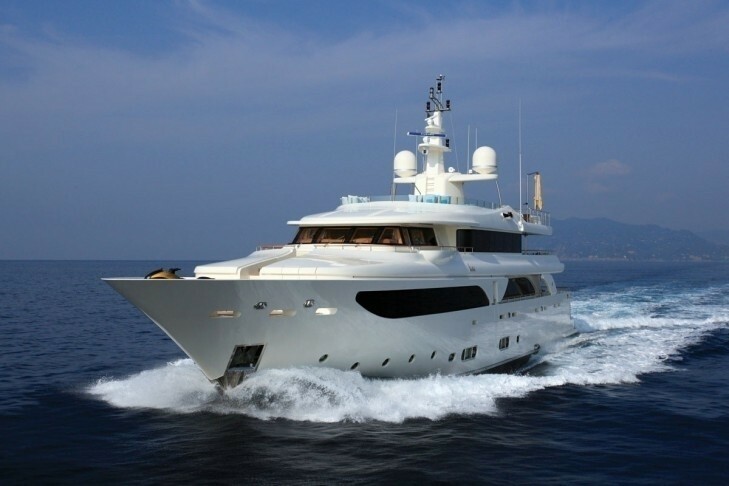 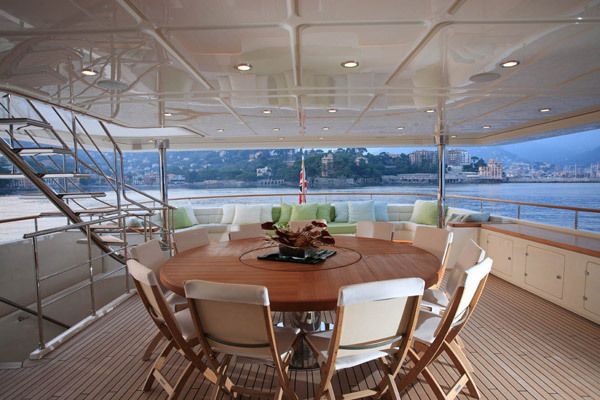 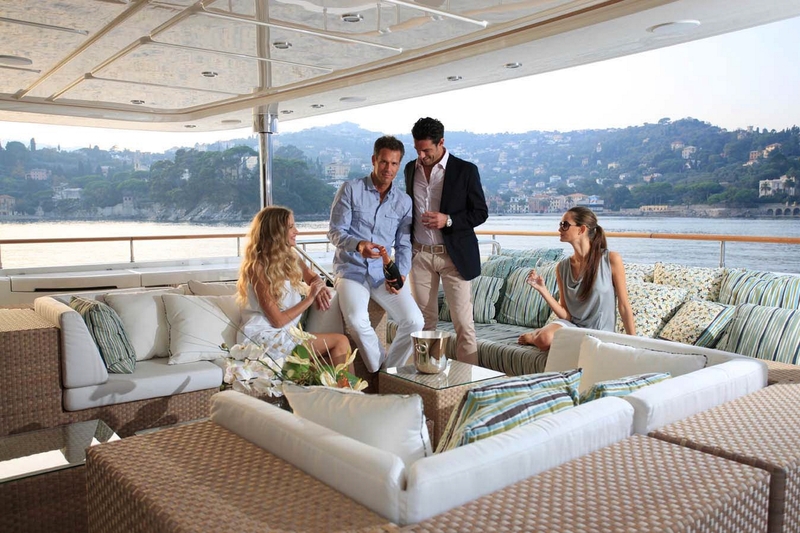 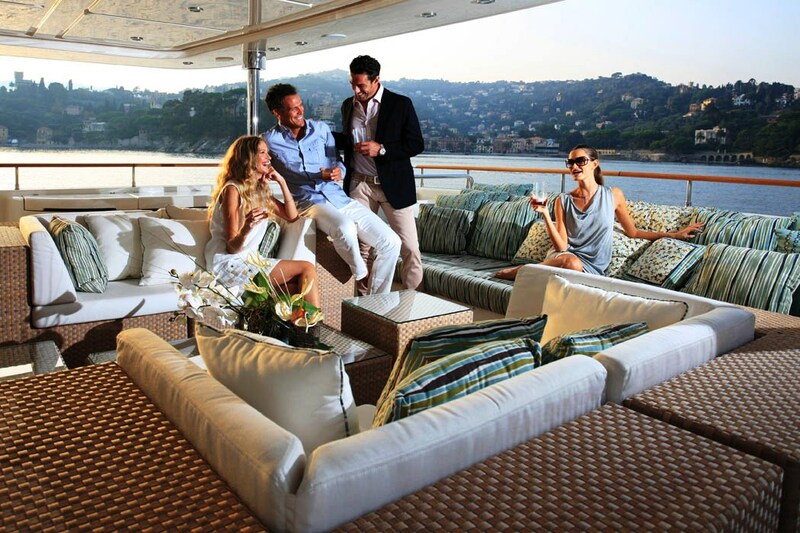 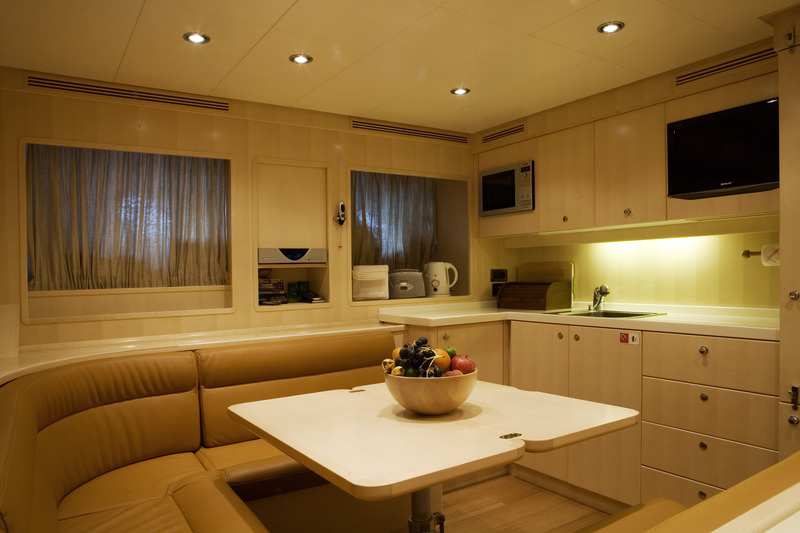 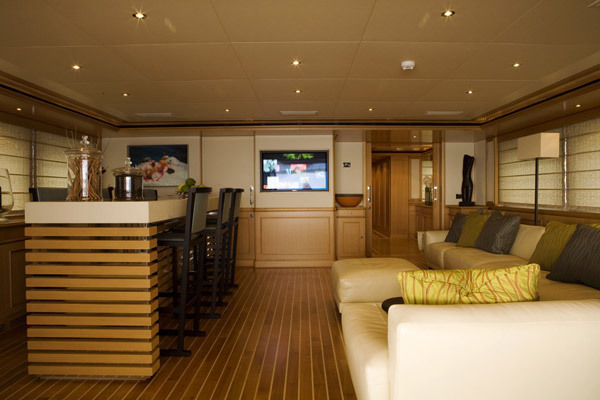 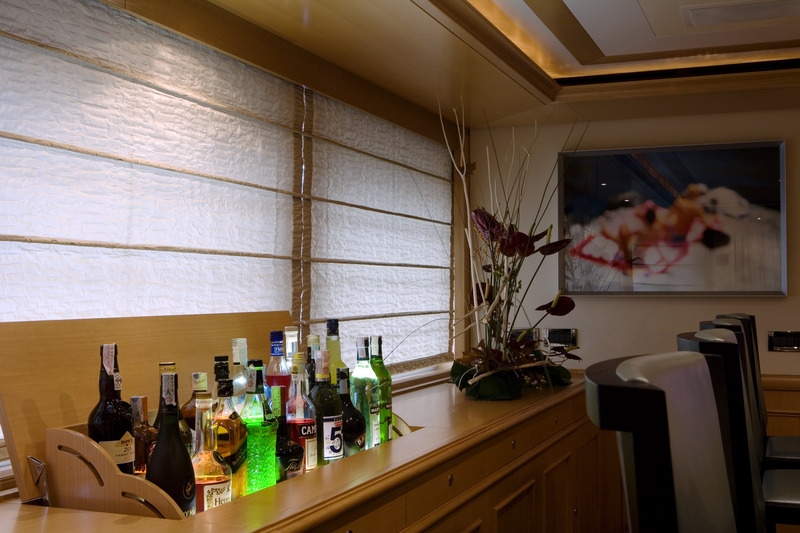 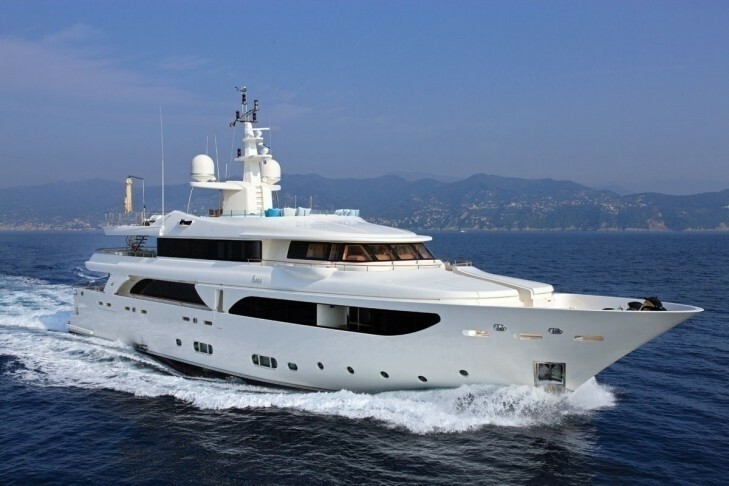 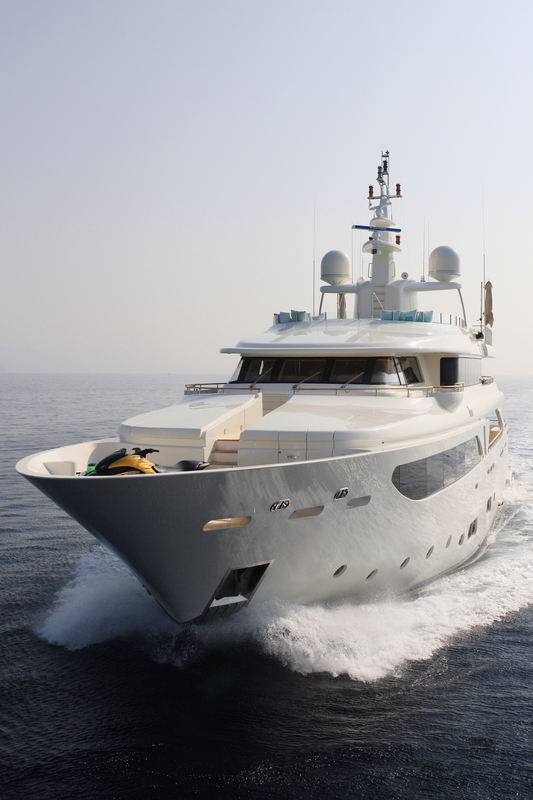 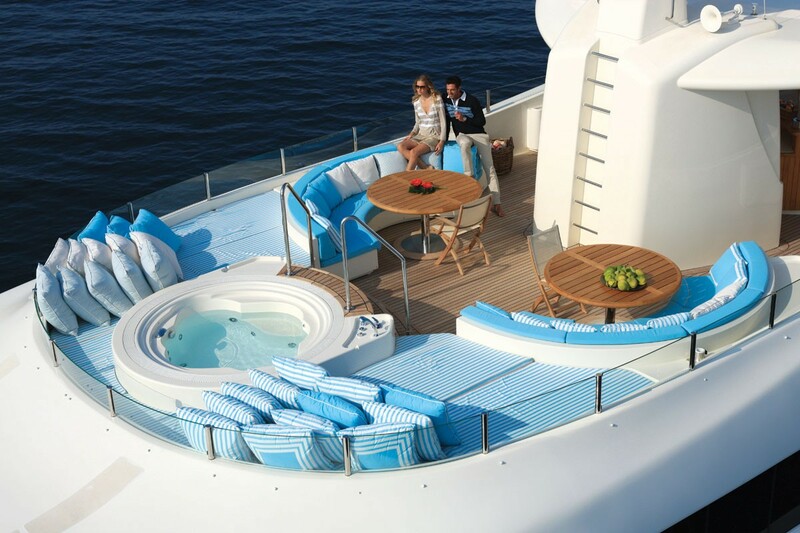 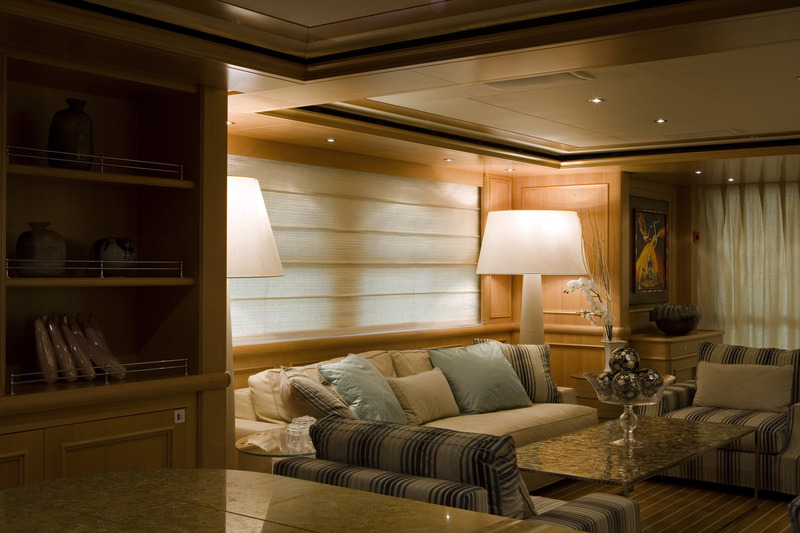 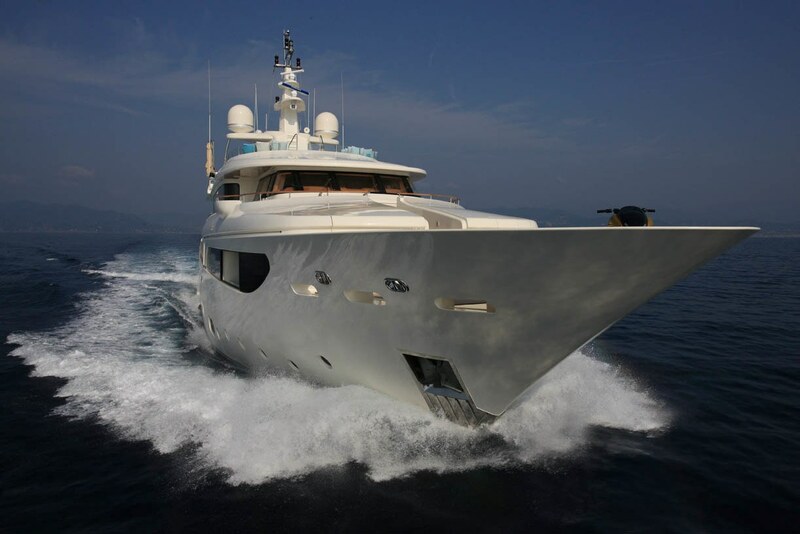 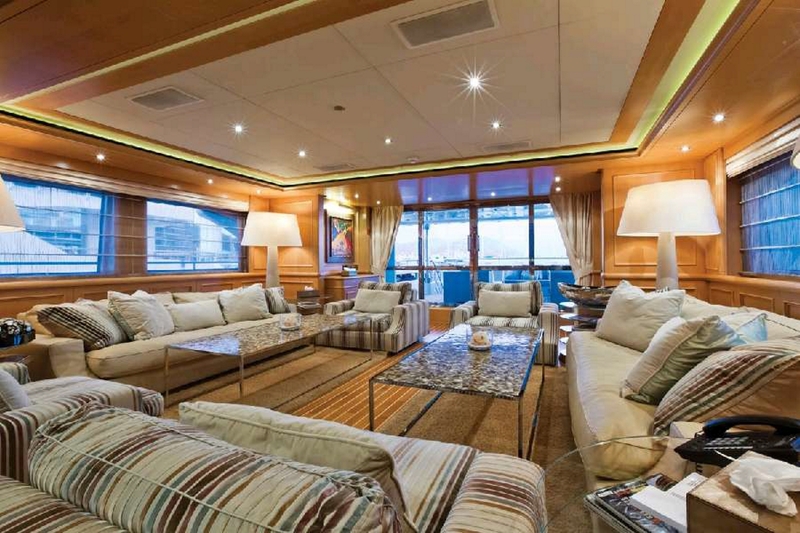 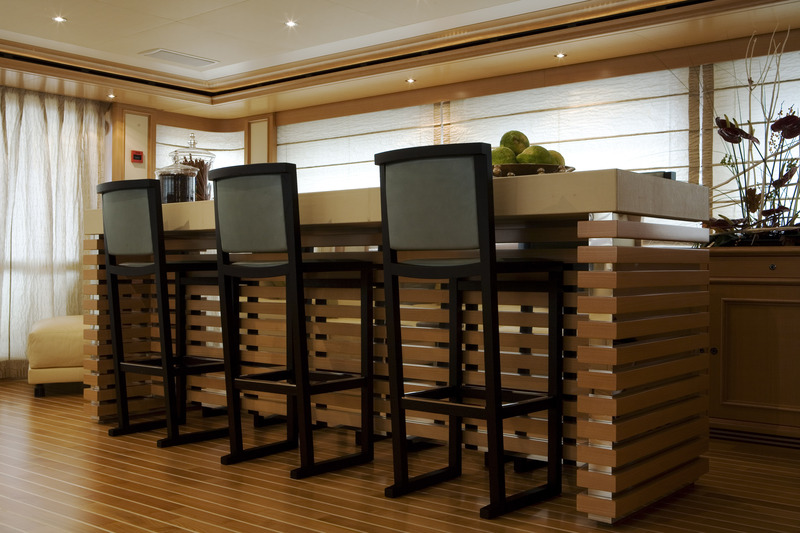 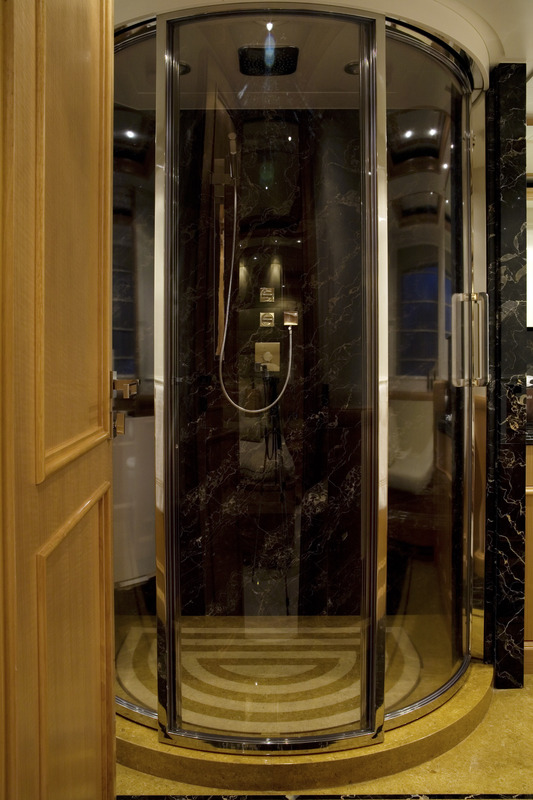 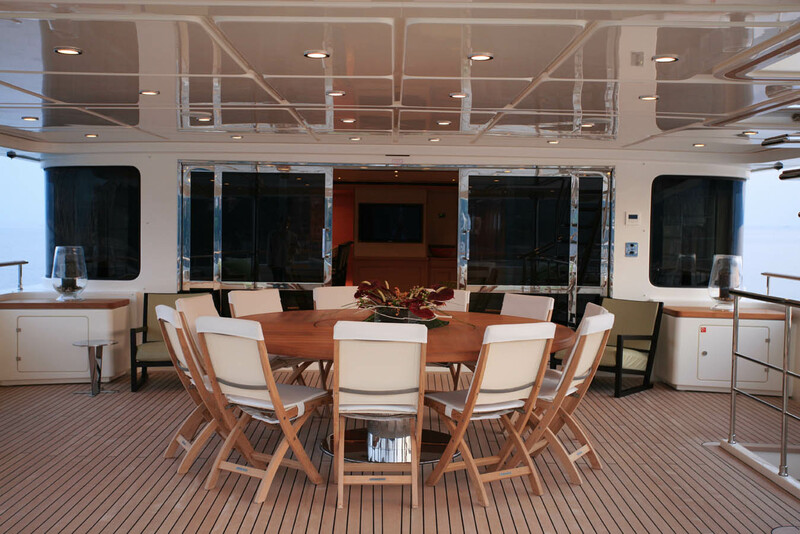 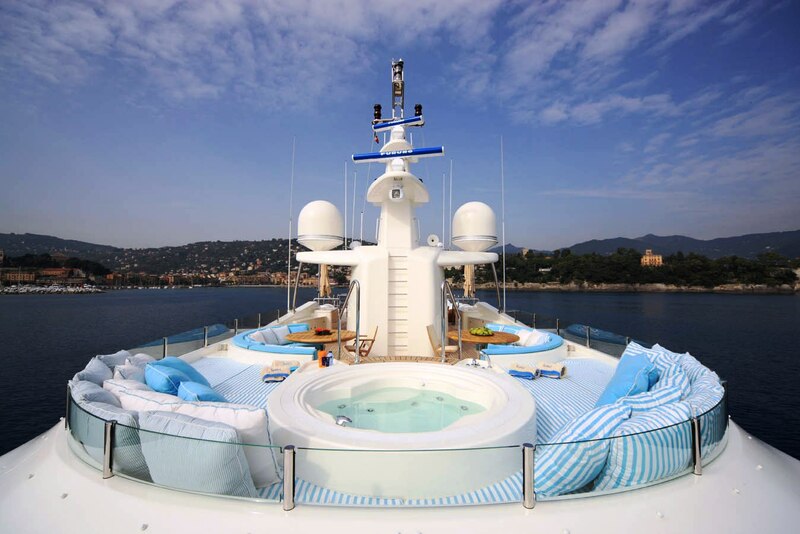 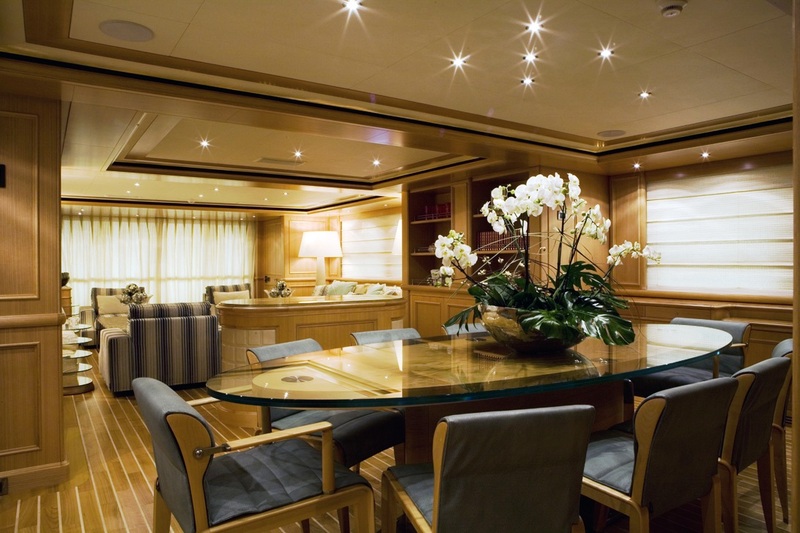 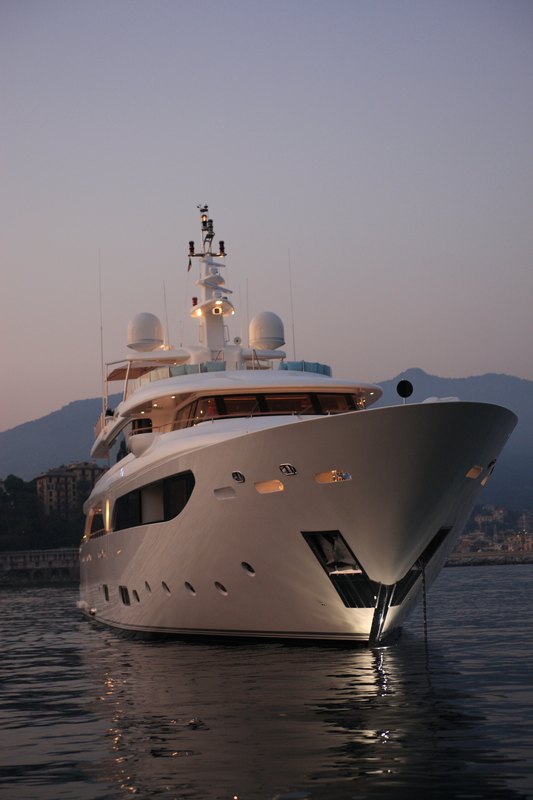 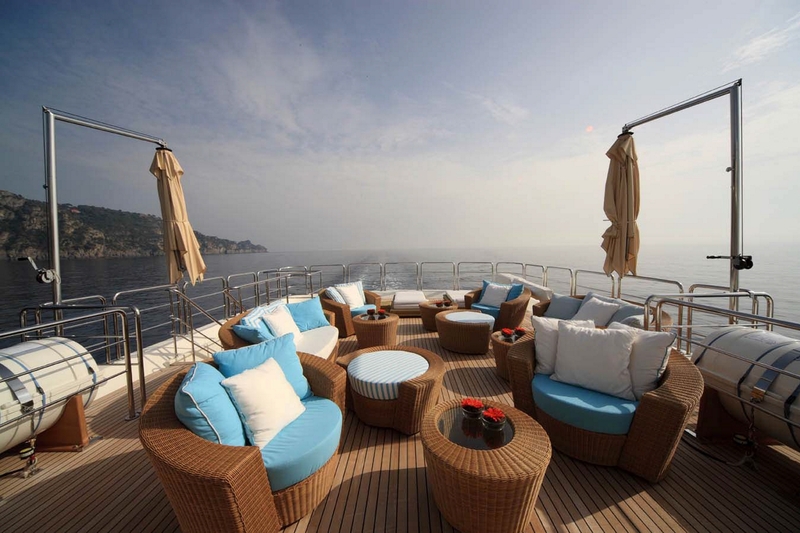 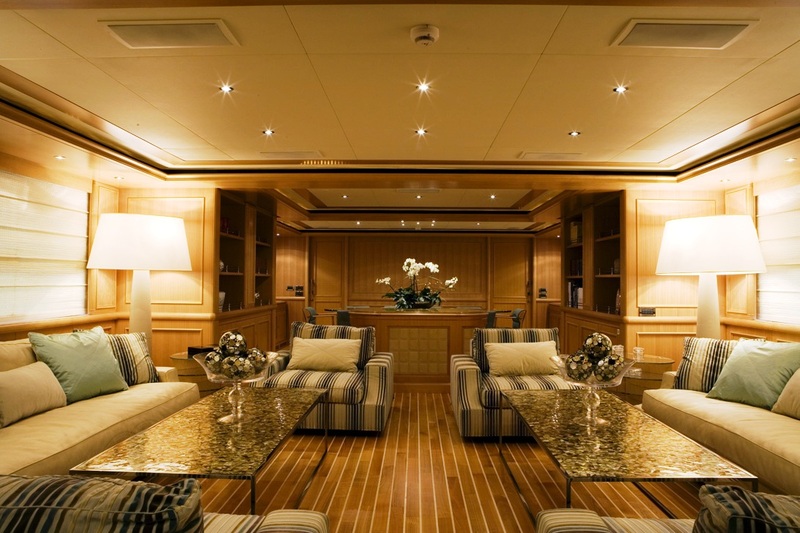 The yacht can accommodate up to 11 guests in five well-appointed deluxe cabins. 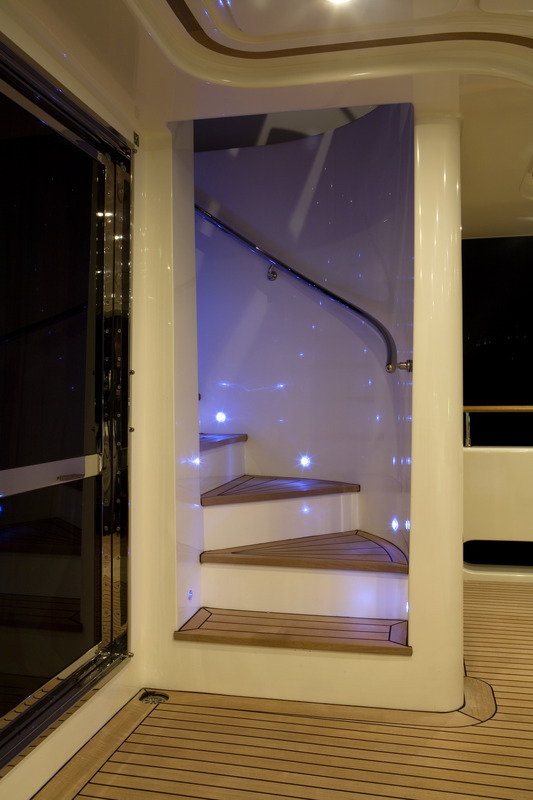 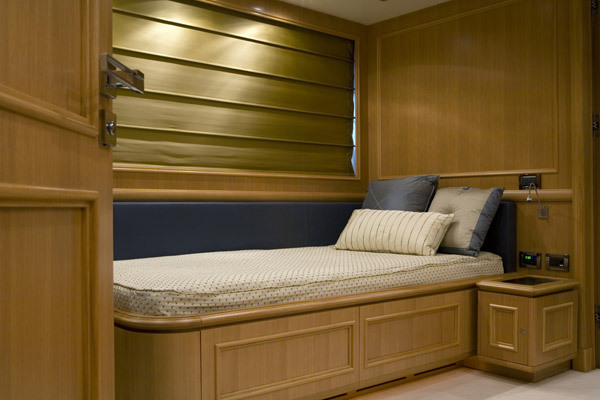 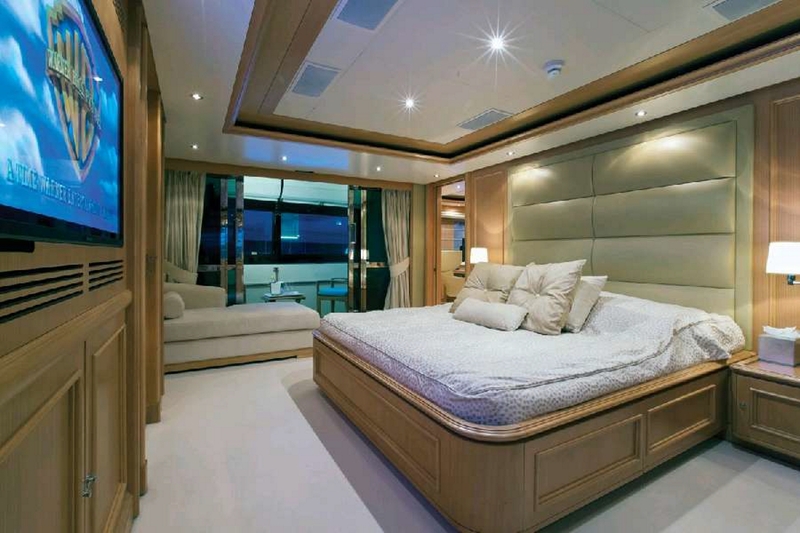 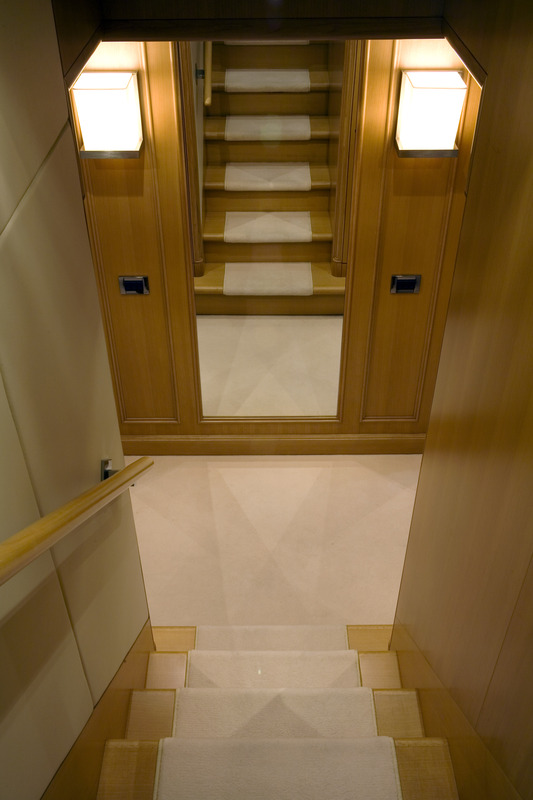 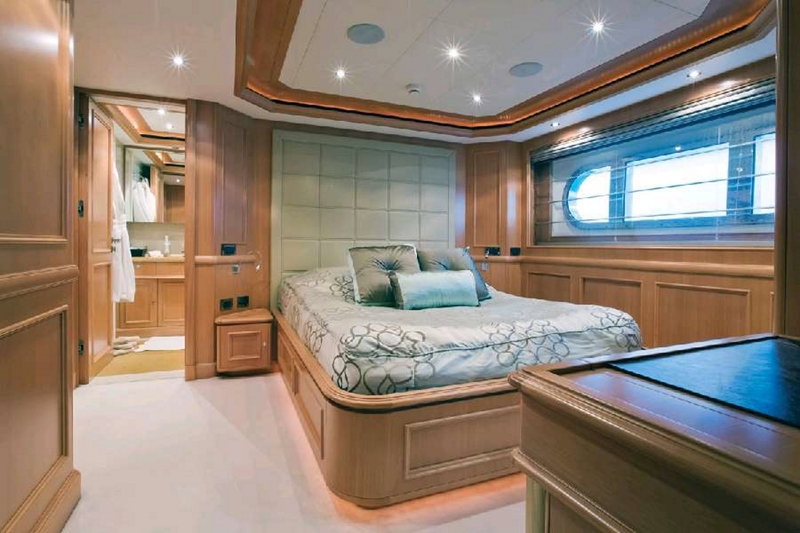 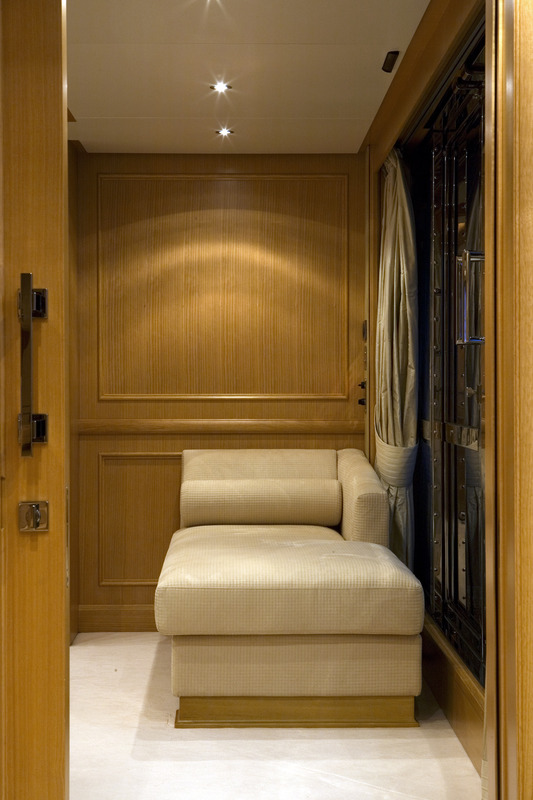 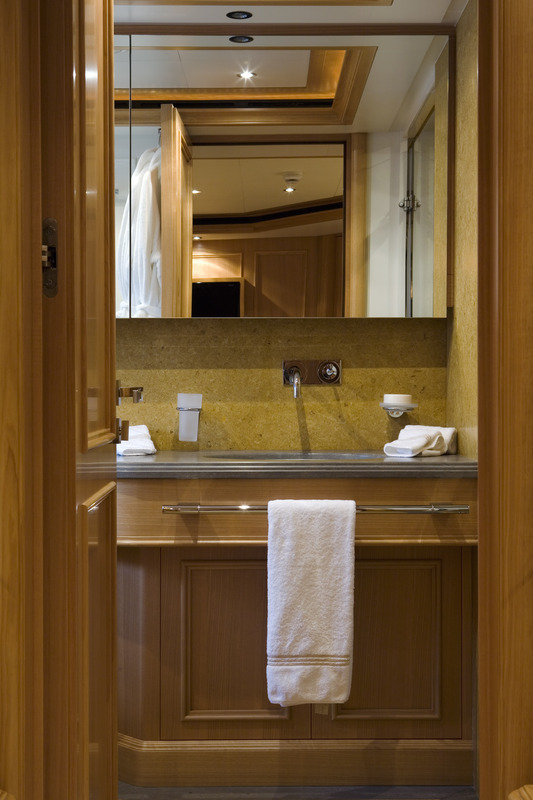 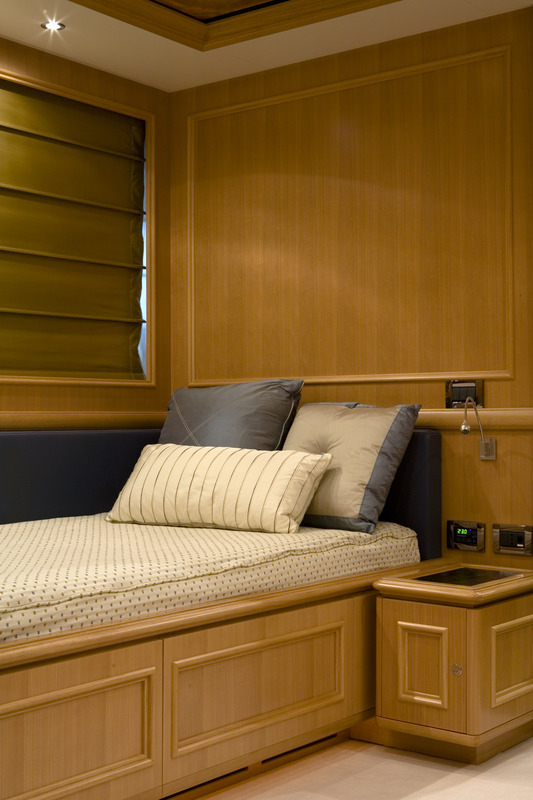 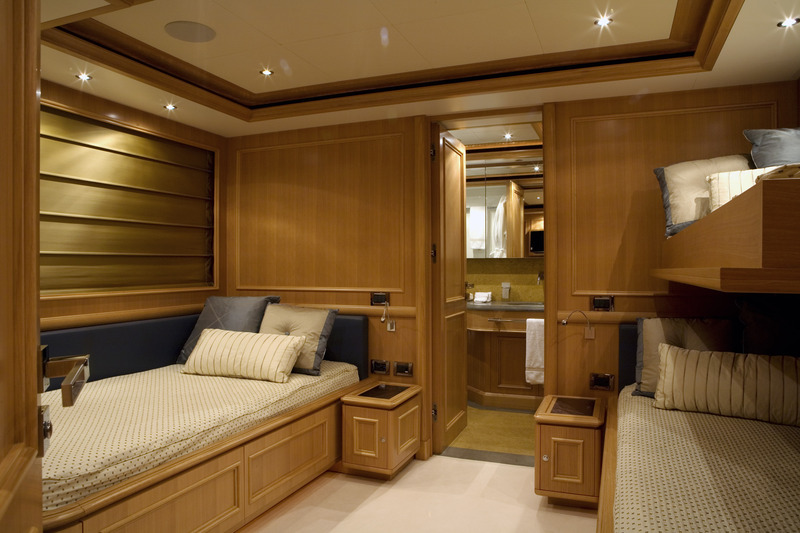 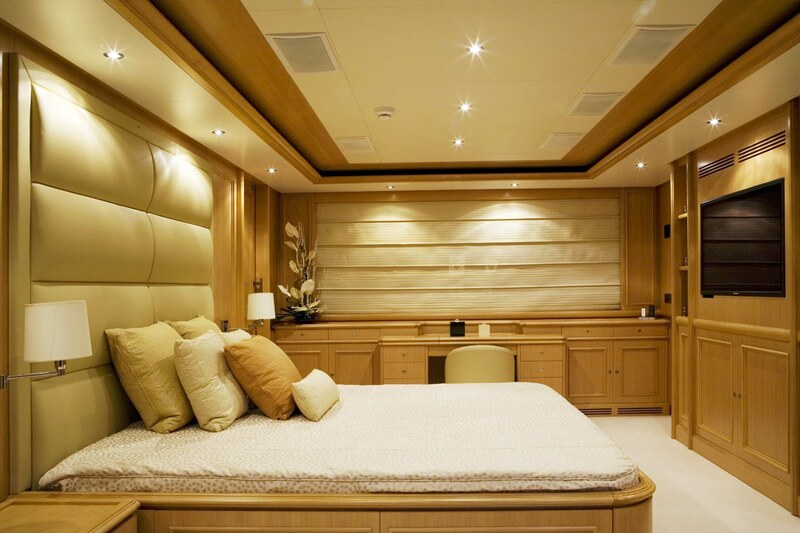 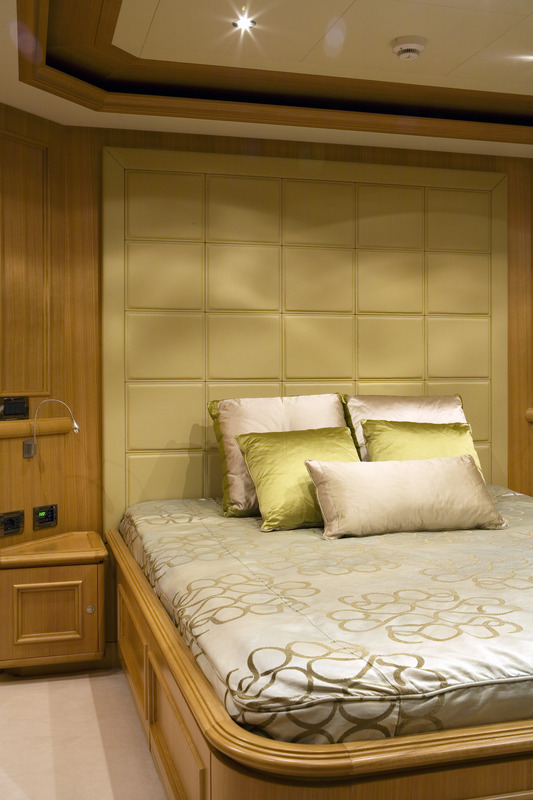 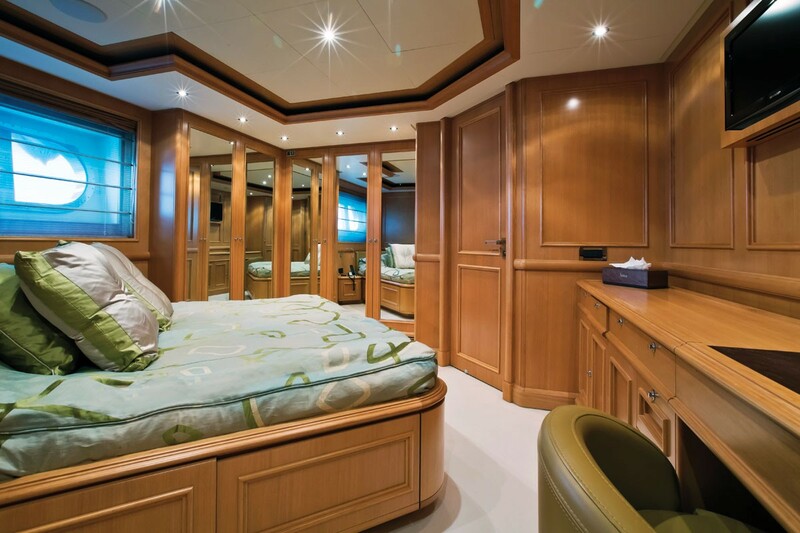 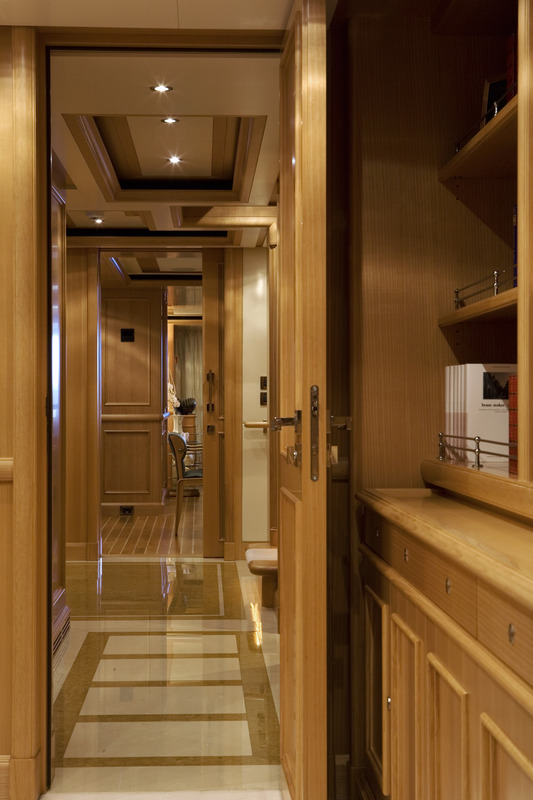 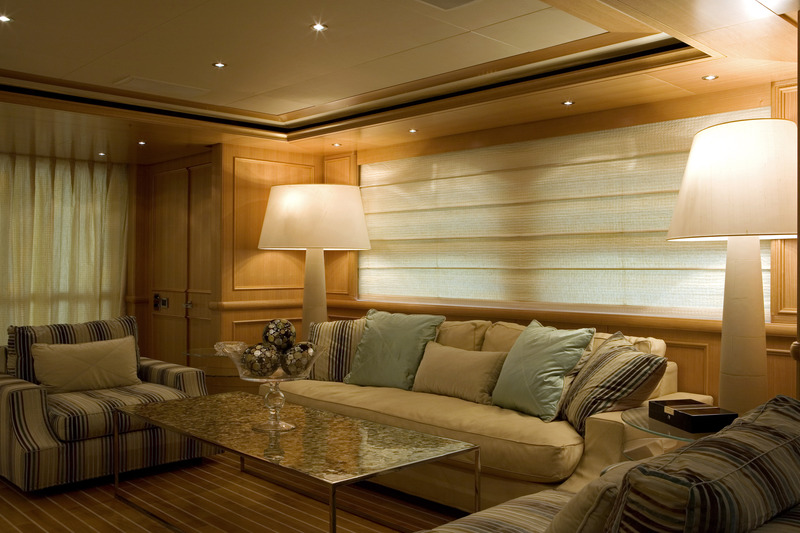 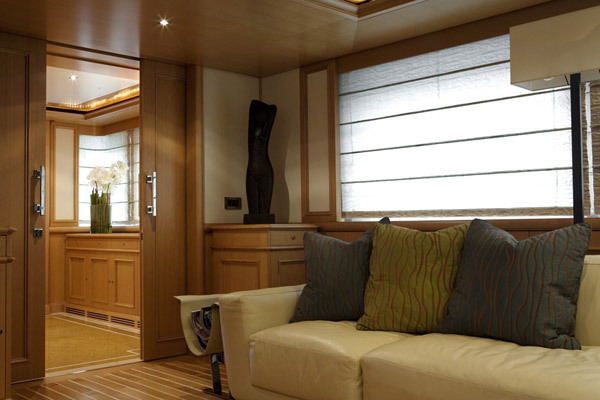 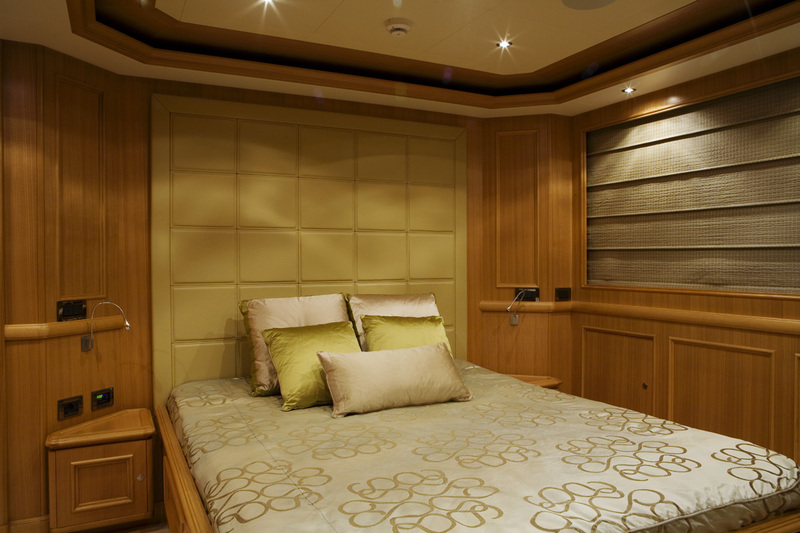 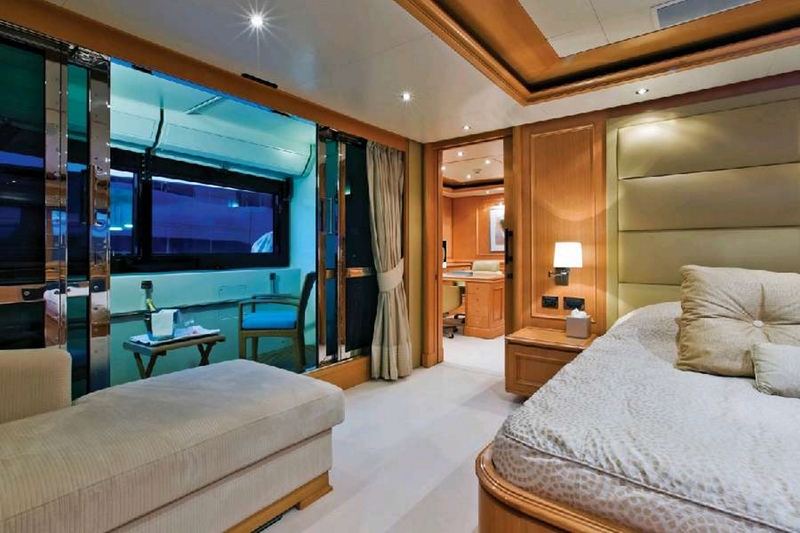 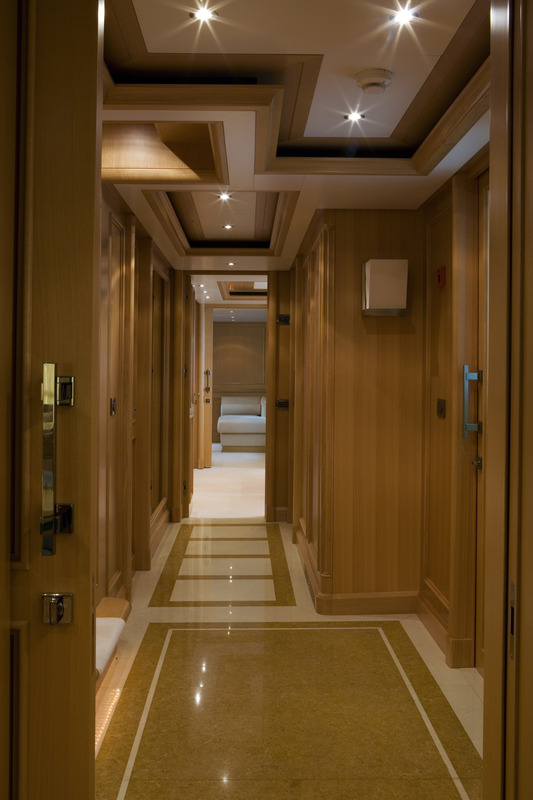 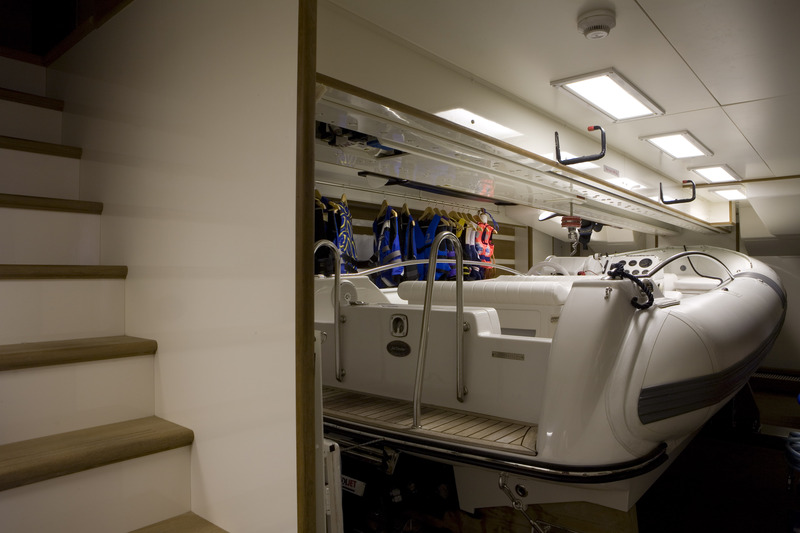 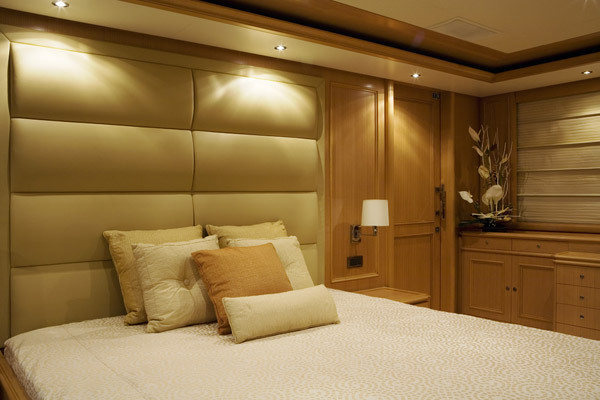 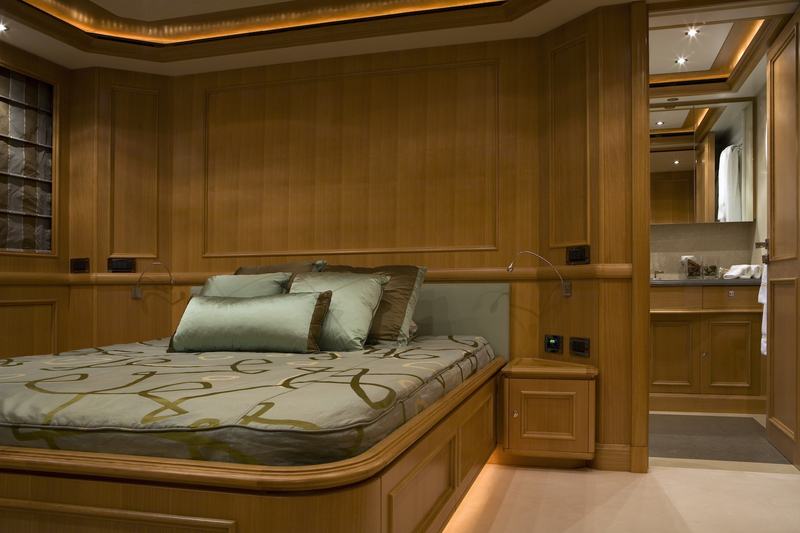 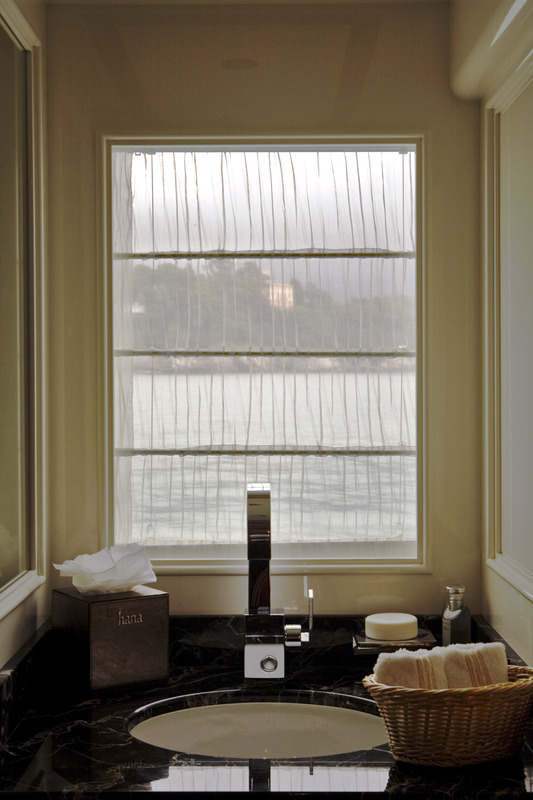 The master suite spreads the entire width of the boat with a private terrace and spacious en suite bathroom. 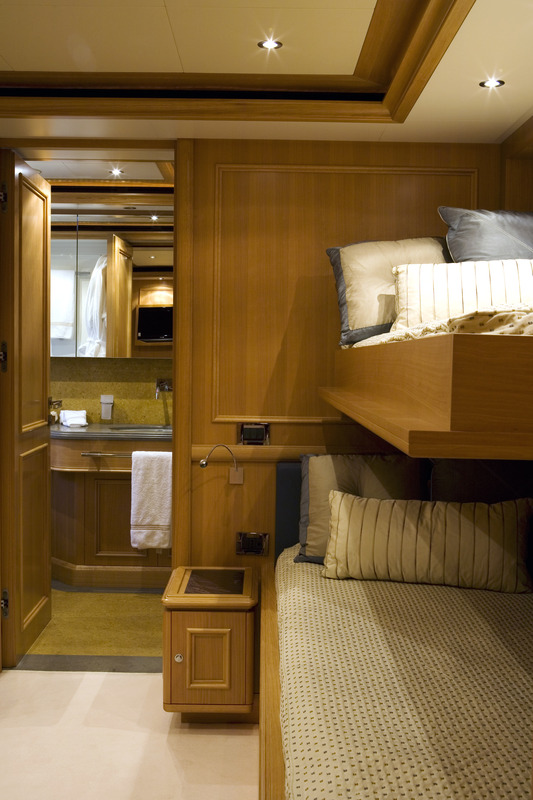 There are three additional double suites, each with a king size bed and one twin cabin with a pullman bunk. 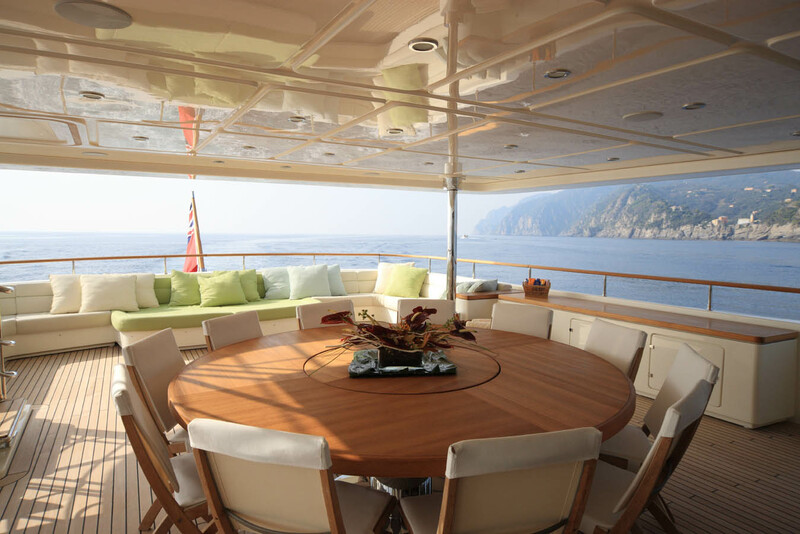 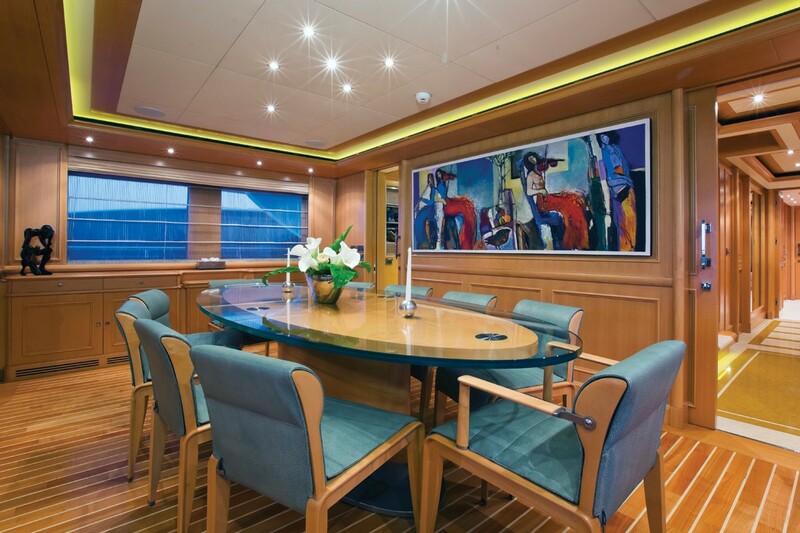 Another distinctive characteristic of the CRN 43 line, although many designers have now followed suit, is the terrace on the owner’s suite, designed as a balcony large enough to hold a table and chairs for breakfast looking out on the ocean. 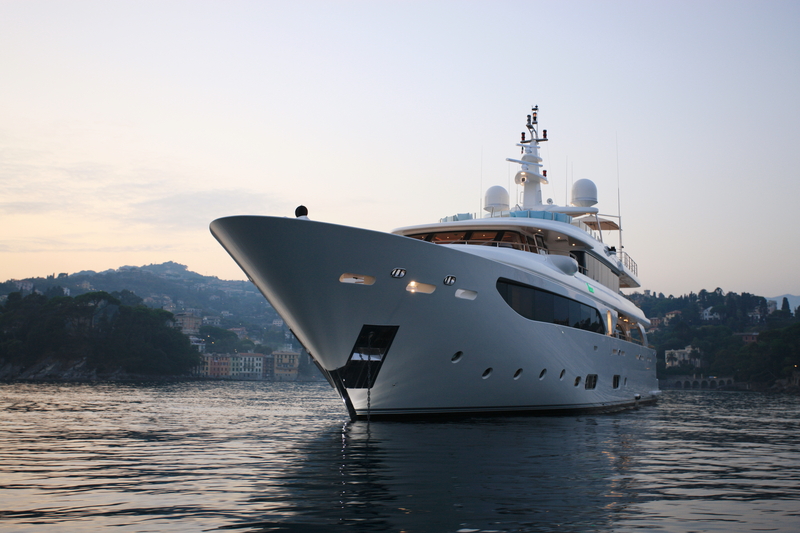 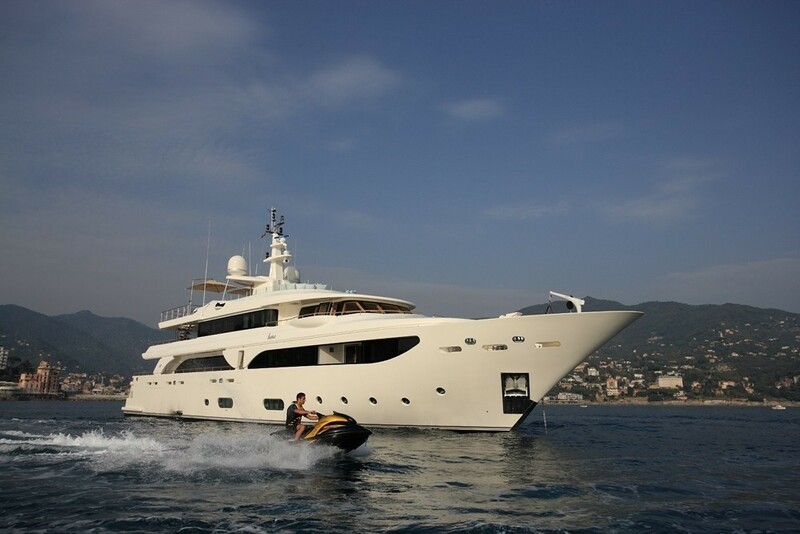 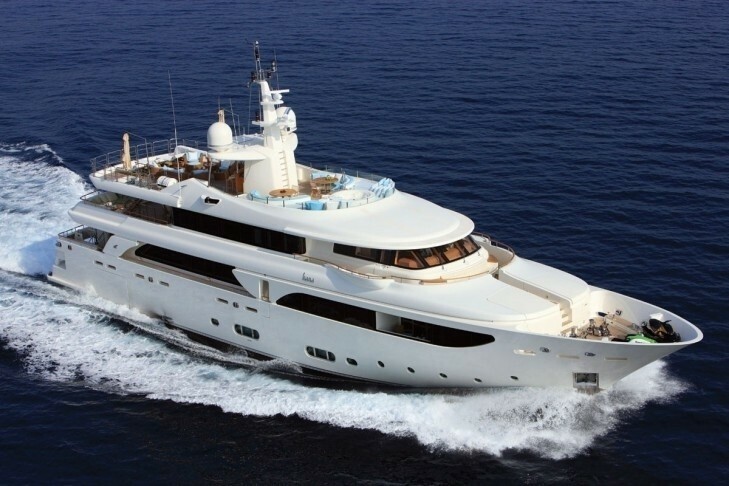 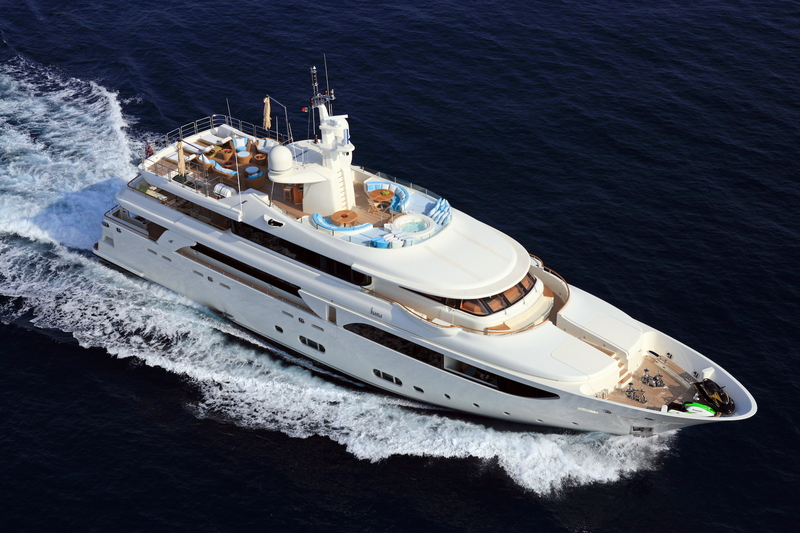 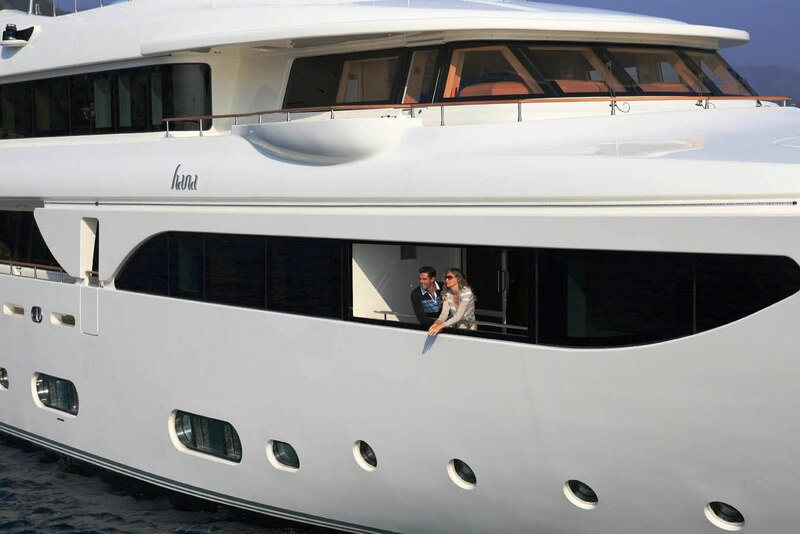 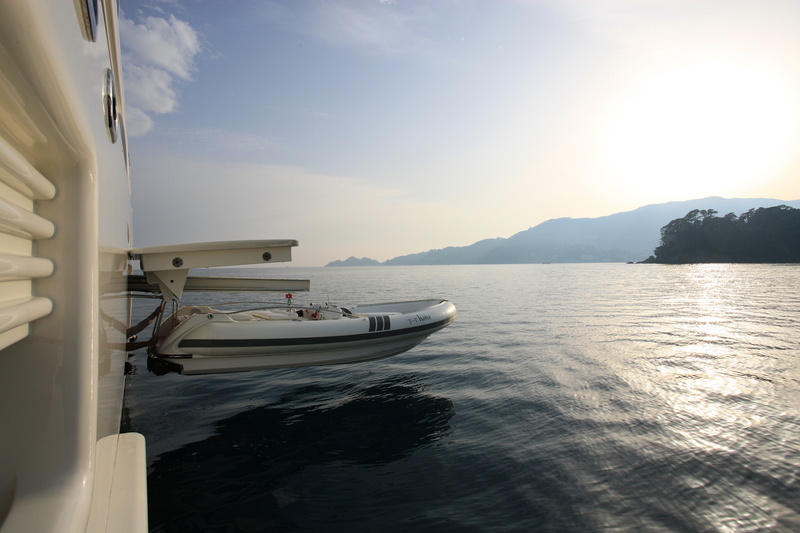 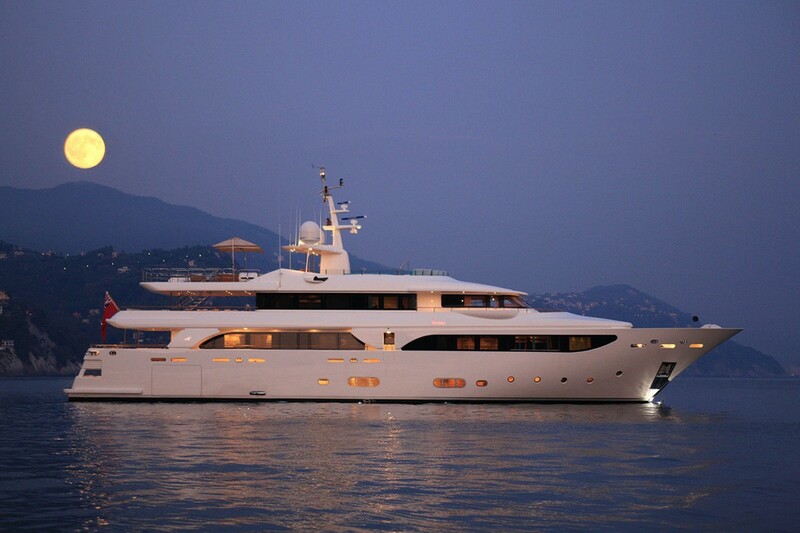 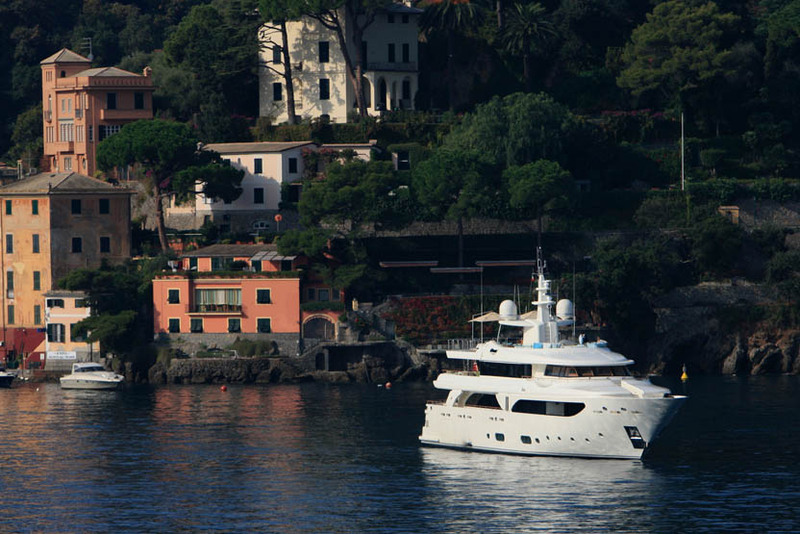 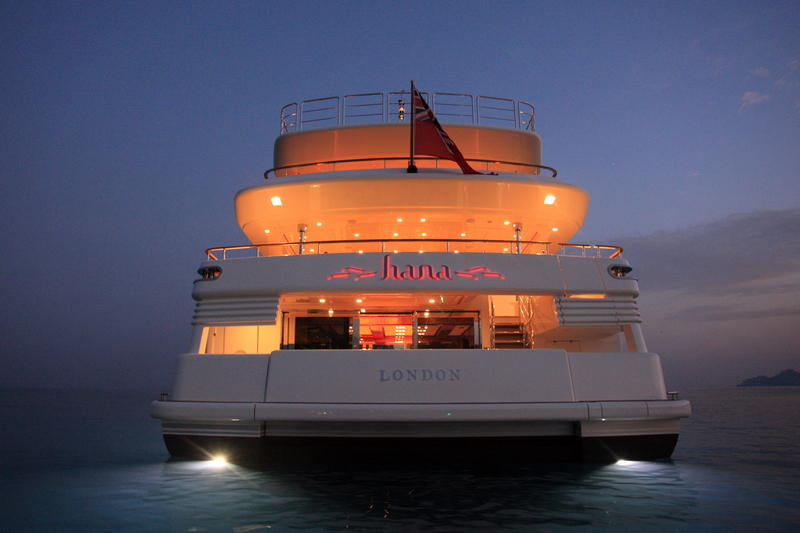 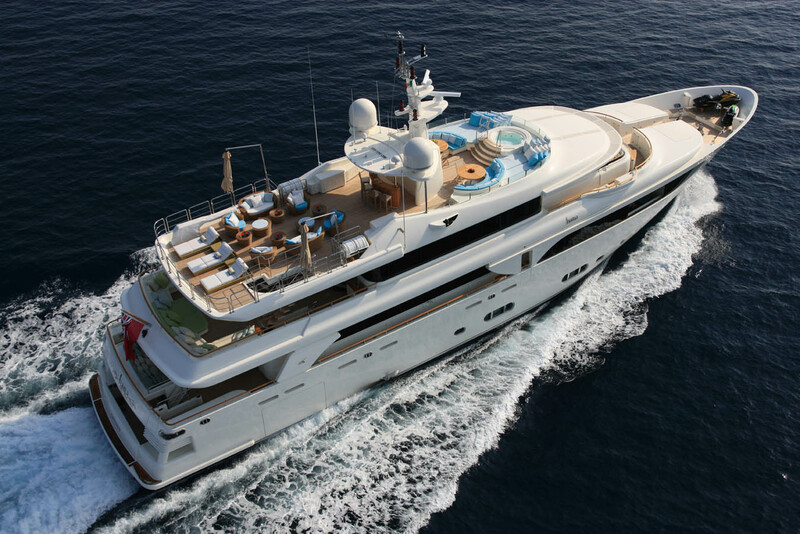 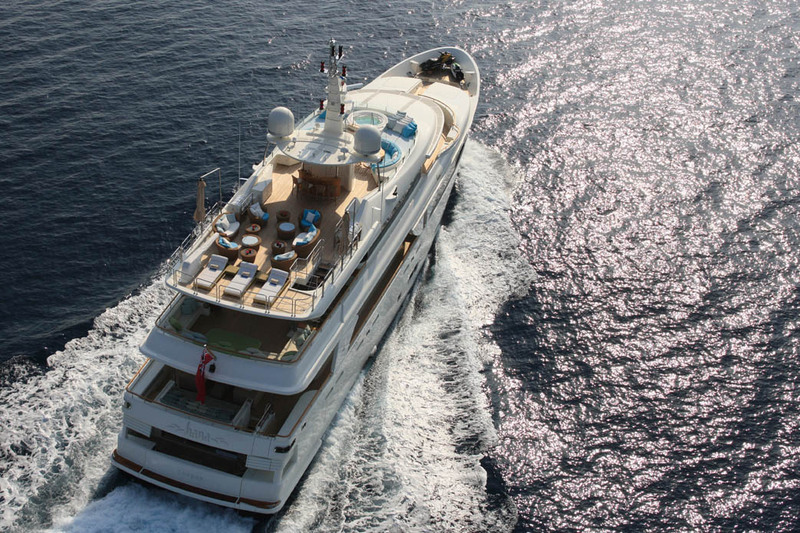 Luxury Super Yacht HANA has a wide range of tenders toys and extras for guests on board. 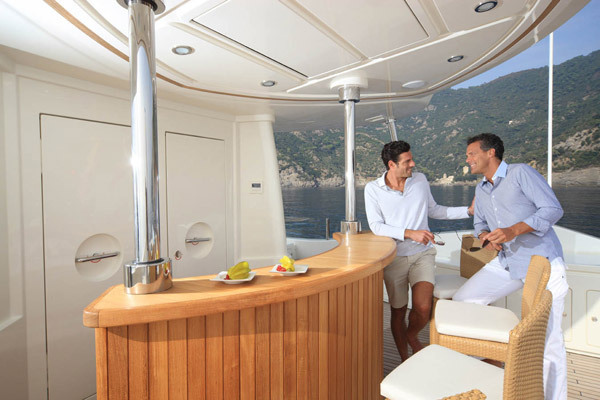 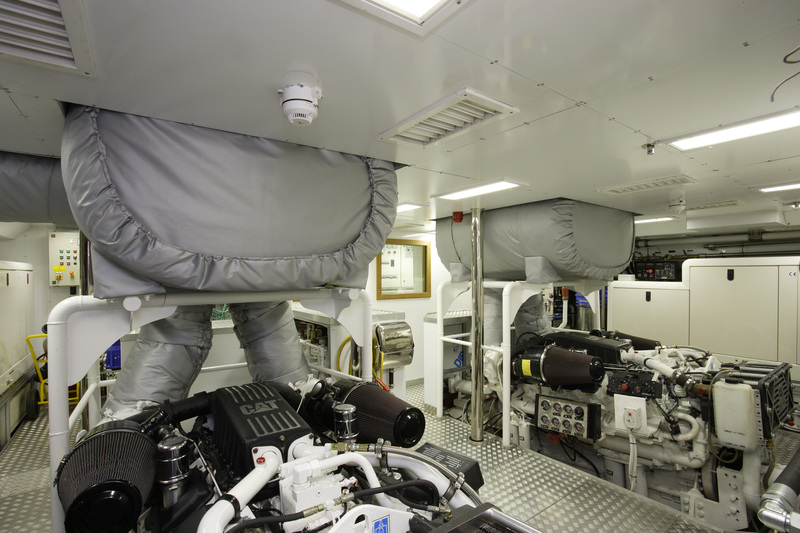 These include an 18 ft (3.5m) Castoldi tender with a 125hp engine, splash guards, bimini top and teak decking. 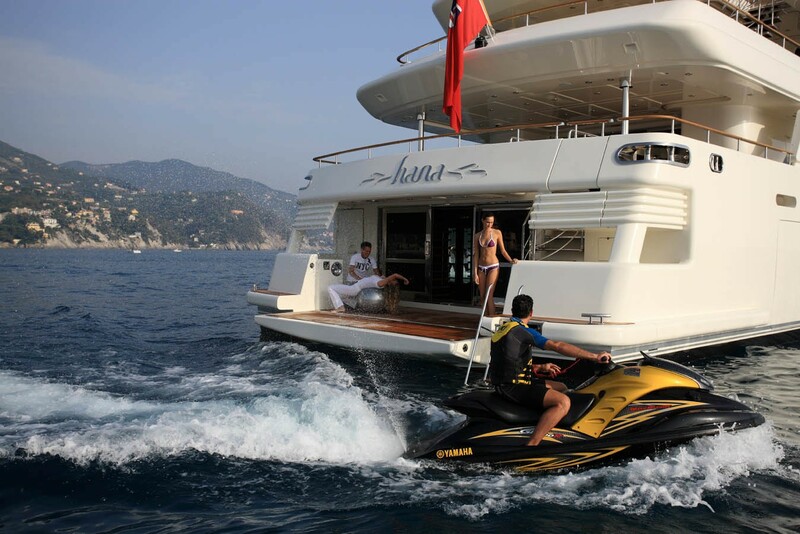 A 3.5m tender with 25hp outboard, a 1300cc Waverunner Kawasaki 800cc jet ski, water skis, wakeboards and towable toys etc, as well as a Segway and a sea bob. 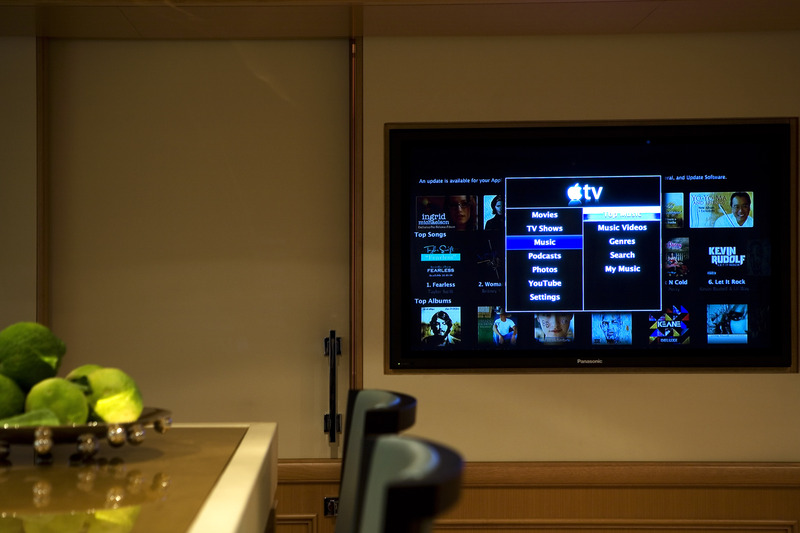 HANA’s Audio Visual Equipment and Deck Facilities include an APPLE TV with direct access via the internet to a never ending range of new releases - Plus over 8000 songs, more than 100 TV episodes and a great range of films. Communications include the usual WIFI, VSAT, GSM and SAT TV.